NOT ''Macedonia'' buth ''Makedonia'', with ''k''. 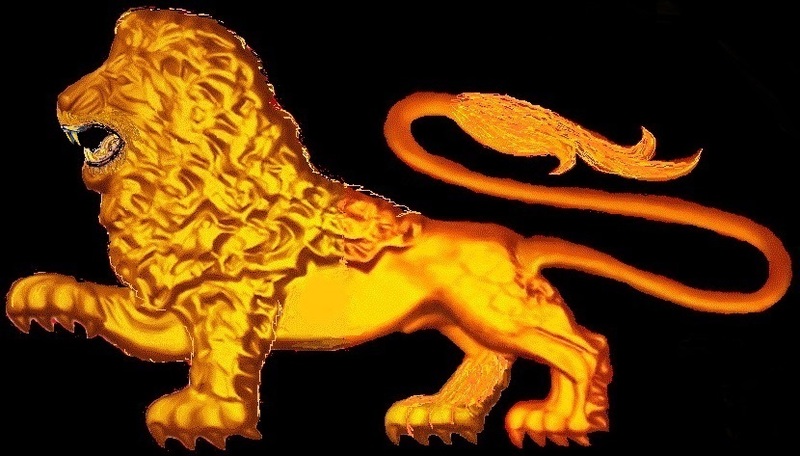 The Makedonians can not interpreted the word ''macedonia'' because that word '' macedonia'' is coming from the ancient Romans. The Romans destroyed the ancient Makedonian state. The Makedonians exist until and today with Makedonian state. 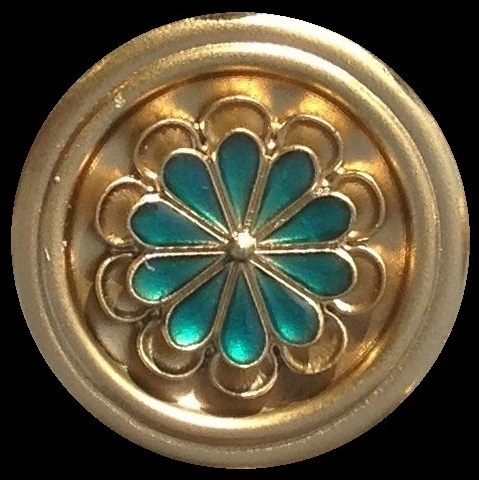 The ancient Makedonian capital Aegea ( Ege) is mentioned by ZET (king), IGAL AL, ruler of Zeta - ancient state before 1400 B.C. 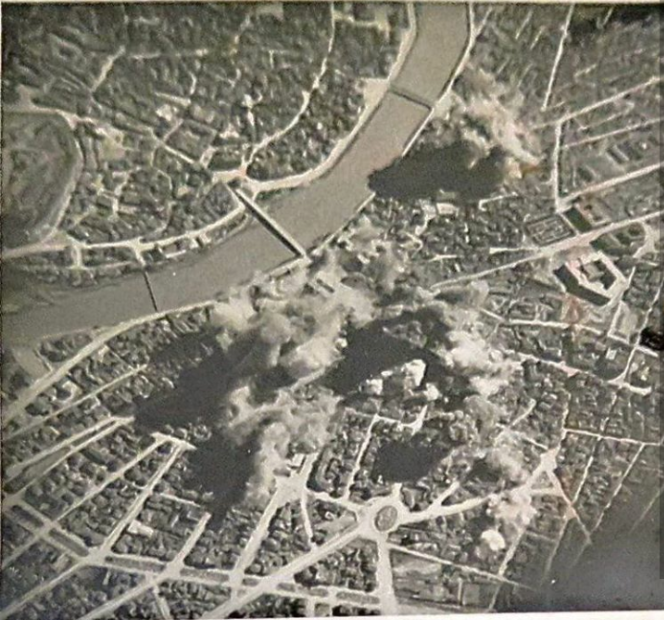 who boasted that he destroy the city Ege and his shield adorned with the Sun of 8 zeti (rays). That was around 1400 - 1380 BC. Makedonia is mentioned in the book of Melegene (Homer) The Illiad and The Odyssey in the War of Ilion (The Trojan War) which lasted around 1194 - 1184 B.C. which means 550-580 B.C. years before makedonian king Karan. 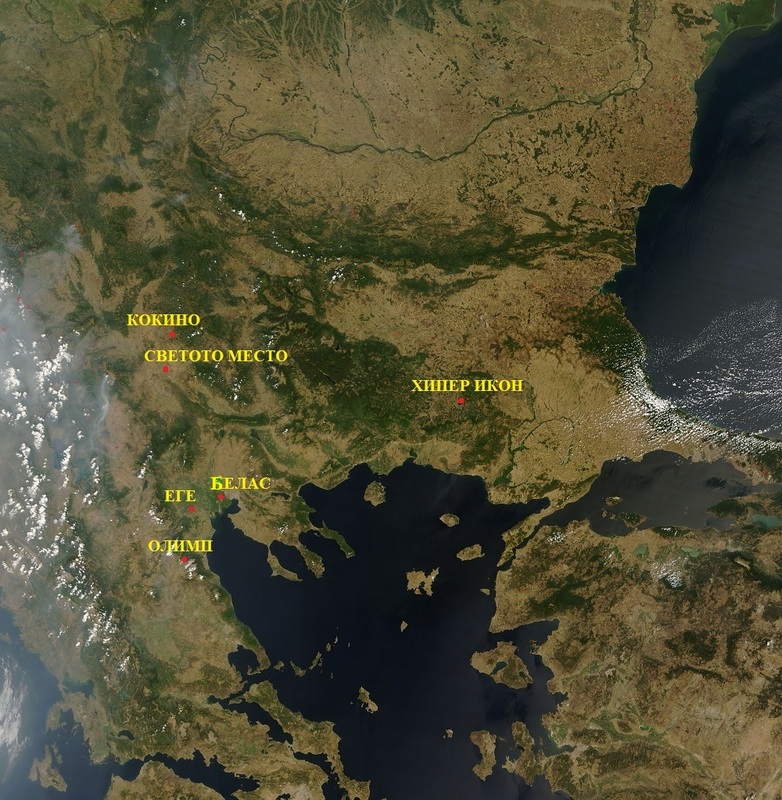 The name of Aegean sea come from ancient MAKEDONIAN capital Aegea ( Ege) . The ancient name of Balcanic Penisola it's Makedonian Penisola . The name of the land is ILION from hire ILI - ada (land of ILI god of the Sun ) and Odyssey,... AND ILI (Troy) IT'S THE CAPITAL OF THISE STATE the title of the book, the words who is clearly NOT greeks,.. thise words say clearly that for the Athenians manipulation. 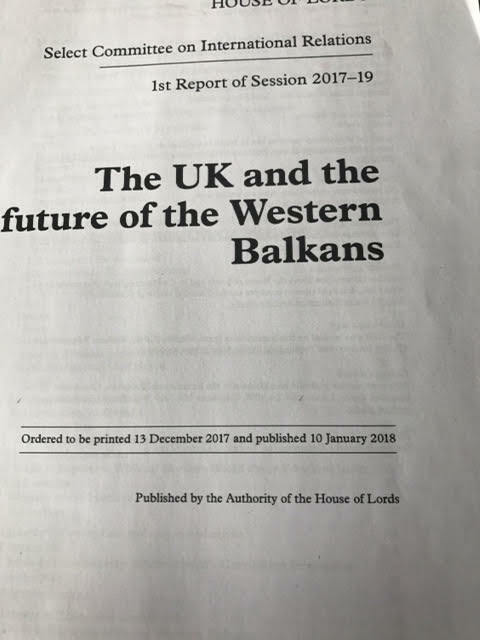 there are more of 3000 makedonians words in thise book WHO its and today MODERN makedonians words ... thise book it contains 40 000 words ancients makedonians words,.. The ''ancient greeks'' ( ancient greeks donot exsist) WHERE are NOT MARKED to any place of thise book like hellens AND for much time the Athenians CAN NOT to translation thise words,..... thise book is manipulated from Athenians,.. exactly for ORDER to Pisistratus - Πεισίστρατος (koine alfabet) the Athenian - tiran - governor give ORDER TO translat thise book and to BE ADAPTED for the Athenians costums,... Homer IS PHENICIAN and is NOT Athenian. Homer never live in Athena. According to Herodot's ( the Ionian historian) the date of the birth of Homer would oscillate between the 1194 and 1184 B.C,that is it would have lived little after the war of Troy,..
in other Homer biographies it turns out instead been born in posterior, age towards l' VIII century B.C. 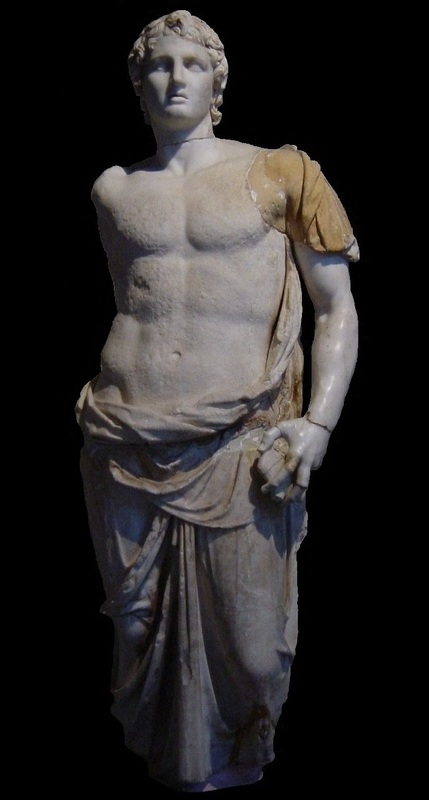 one says that the true name of Homer would have been Melesigene - been born near the Meleto river Asia Minor. We need to mention that Vasileos Alexander the First, with his soldiers participated as a vassal and struggled on the side of the Persians, in that war, he assisted the United city states, in the fight against the Persians, with military informations, to convince him, for military interests reasons, because the Persians could still attack, the military - religious organization Amfitonia, Vasileos Alexander the First, the Makedonian vasileos, was accepted into their military religious organization, absolutely NOT because he was a cousins of the Ionians but of military interests, so he was recognized that he was a descendant of Hercules. 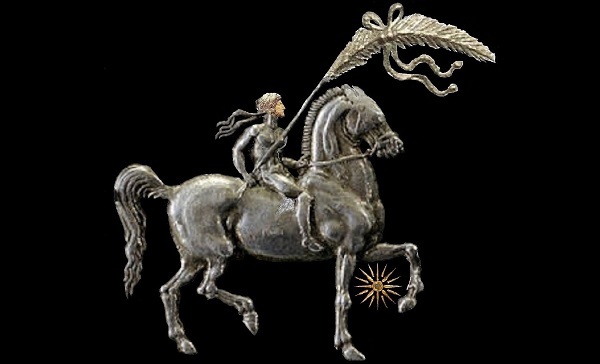 In honor of the victory over Persia, Makedonian vasileos (king) Alexandroy FIRST organize the Olympic Games to the north side from the Holy Mountain OLIMP. At those Olympics vasileos Alexandroy FIRST (king Alexander I ) invites all nations who took part in the fight against Persia . WITH THAT THESE GAMES HAVE BEEN Were FIRST INTERNATIONAL GAMES Organized by the Makedonians. So Organizer IT'S vaslieos ALEXANDROY FIRST ruler of Makedonia and it is held to THE Holy Mountain Olimp in Makedonian territory ,.. truly in the north part of the Holy Mountain Olimp,... Mountain who with It borders and with Tesalia , nations who it's not hellens and it's not city states buth kingdoms with king . From hire that it's IMMORAL LIE that the Olympic Games it's greek it's not truth and not logical because in this time the greeks DON'T EXIST. Greece or Hellas for the first time in history is Get into 1829 with the assistance and protection of France, Russia and the United Kingdom under King OTTO from Vitelsbah the Prince of Bavaria born in Salzburg, June 1, 1815 and died in Bamberg July 26, 1867. 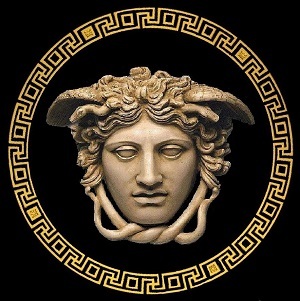 FOR THAT THE THEORY OF THE GREEK OLYMPIC GAMES it's IMMORAL LIE it's not truth , not logical AND INVENT . While makedonian vasileos Arxelaoy FIRST( king Аrхеlai I ) continued the tradition who started his grandfather makedonian vasileos Alexander FIRST and introduced the holiday Оlipmpia, who it's religious holiday with athletic competitions in honor of the victory over the Persians , ILE - the God of the Sun and muses in the Temple of ILE. Most great athletes and cultural workers were collected in one place for the event to the north part of the Holy Mountain Olimp. With the participation to the more nations thise sporting event he had an international character. After the fall of the Makedonian Monarchy the Olympic Games were banned by the Romans : ''because to maintain law and order''. Olympic Games in 1896 were re-restored , BUT NOW WITH LIE ....That the ancient Olympic Games BEEN ''GREEK'',.. How is it possible ? the greeks and greek state DON'T EXIST in thise time,.... the Olympic Games Had been maintained on Makedonian territory Аnd organizer BEEN Makedonian rulers. 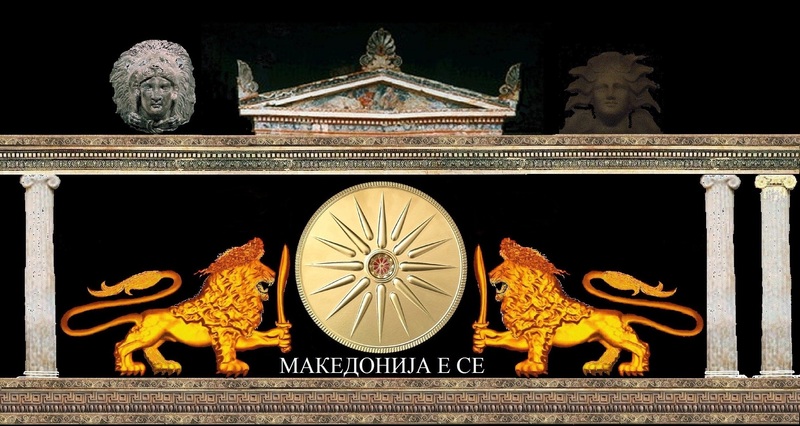 THE MAKEDONIAN SUN WITH SIXTEEN SOLAR RAYS (first used by and the others peoples) FOR FIRST TIME INTRODUCED BY PHILIPPOY MAKEDONON - THE MAKEDON (King Philip of Makedonia), purpose ''Makedonon''? 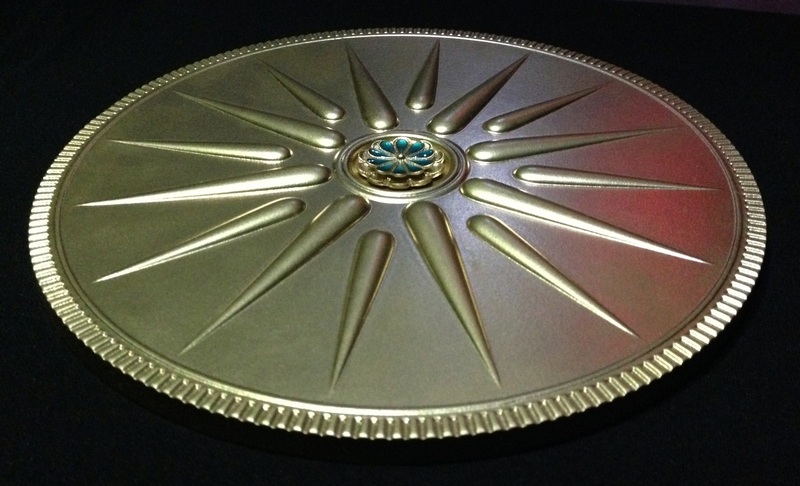 That is a title, WHO REPRESENTS UNIFICATION OF SIXTEEN MAKEDON TRIBES IN ONE STATE BY PHILIPPOY MAKEDONON the MAKEDONIAN VASILEOS ( KING ), Than for OF GRATITUDE FROM MAKEDONIANS HAS RECEIVED TITLE : >>>> MAKEDONON (THE MAKEDON) <<<< THE MOST GLORIOUS TITLE THAT MAY RECEIVE ONE MAKEDONIAN VASILEOS BY MAKEDONIANS. The Makedonians tribe who Philippoy Makedonon that he had unified it's: Adrians, Perdichians, Linchistidians, Peons, Odrisians, Moesians, Orestians, Almopians, Elimeteans, Halkidichians, Pelagonians, Ilirians, Molosians, Тrachians, Dardanians and Тribalians. 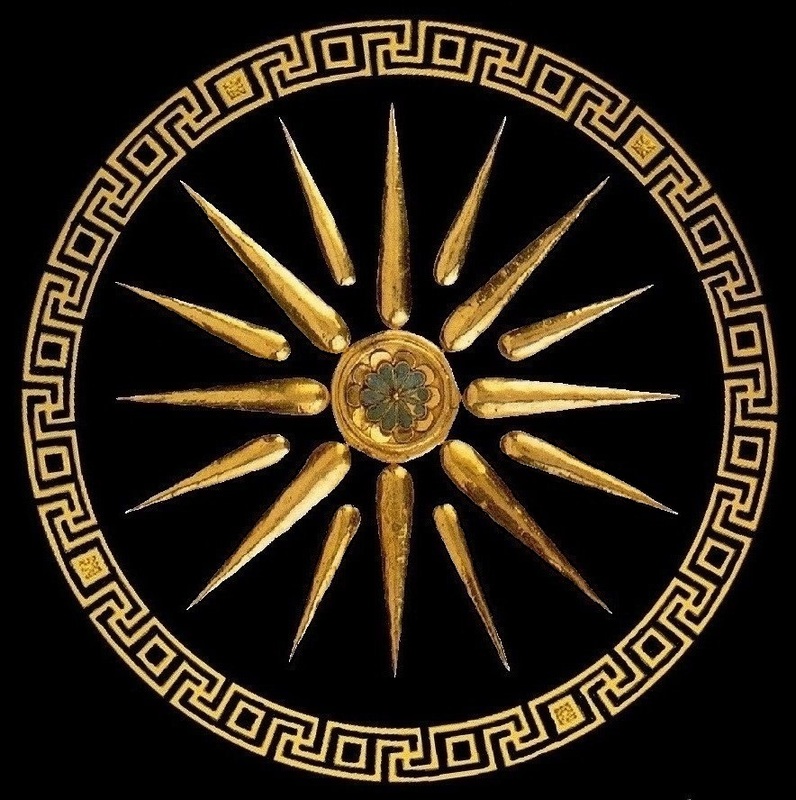 BEFORE THE UNIFICATION THE MAKEDONIAN SUN WAS WITH EIGHT SOLAR RAYS. 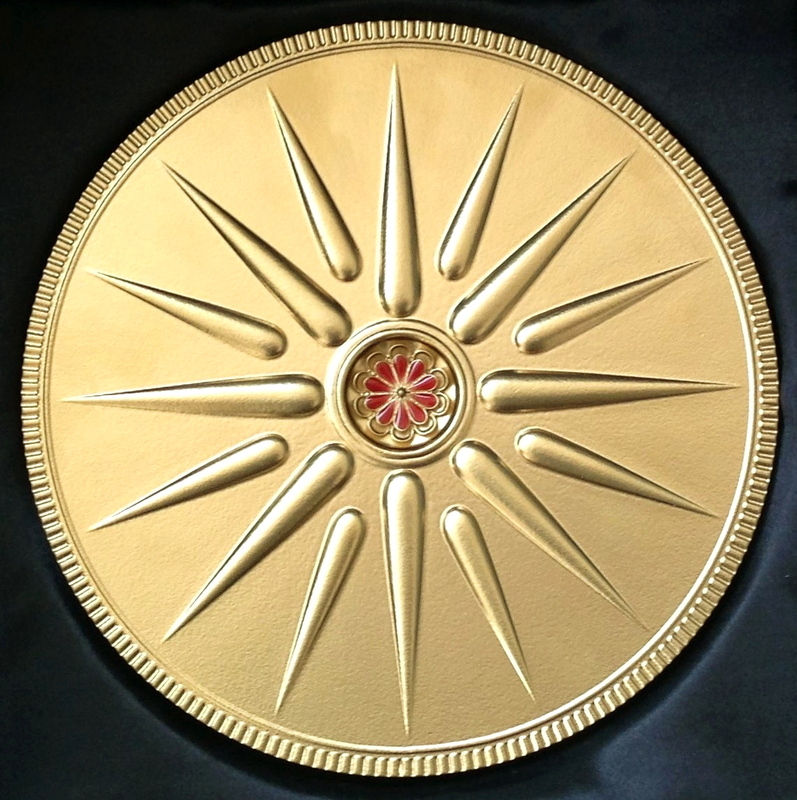 Great historical injustice especially for the Makedonians this symbol is to appoint them as '\\\'kutlesh\\\'\ or \\'vergina\\''. 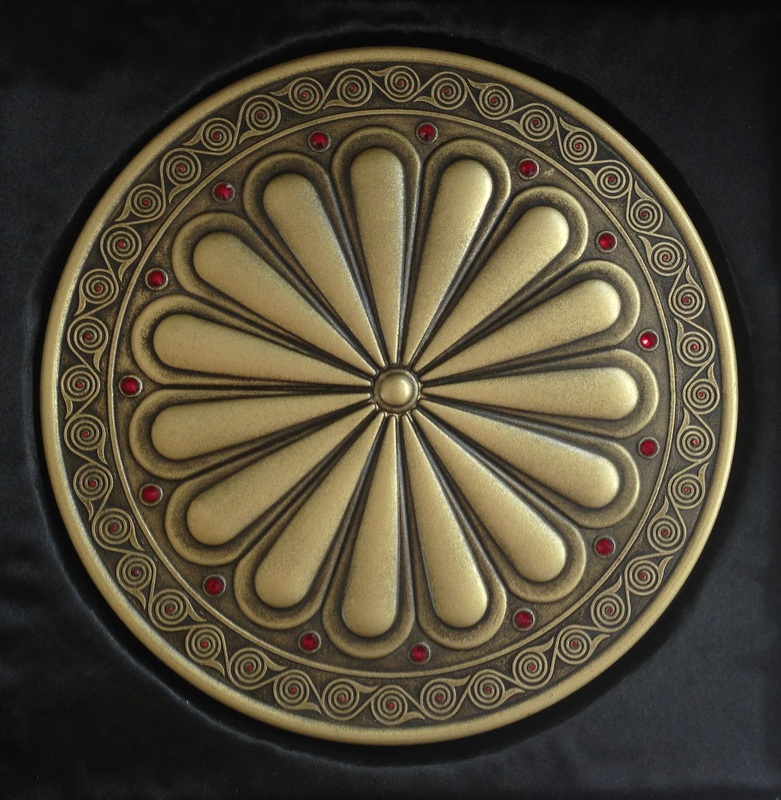 The place where this symbol is found is the ancient Makedonian city Ege ( Aegea), which had been long time was Makedonian capital. 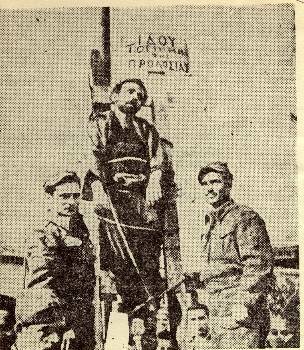 Greeks who in 1977 ​​ desecrated the remains of the famous Makedonian ruler and father of Makedonian nation Filippoy Makedonon. Hei to know: Alexandroy Makedonon glory Vasileon (king of kings) Makedon, we Makedonians don't give. oy, oy, oy, in the battle we are stronger. "[ Our enemies , men who for centuries have lived soft and luxurious lives; we of Makedonia for generations past have been trained in the hard school of danger and war. 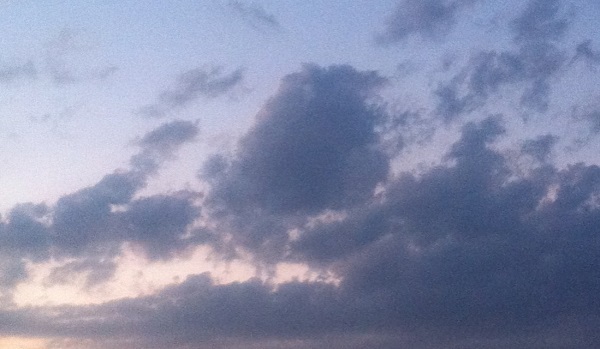 Above all, we are free men, and they are slaves ]." 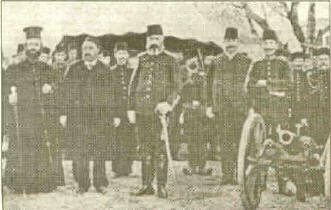 - the Makedonian cavalry companions - (hetairoi - according historian Diodor) CHETAIROI (makedonian) - CHETA - IROI - Battalion heroes. Vasileos Philippoy Makedonon ( king Philip SECOND of Makedonia), joined Alexandroy Makedonon (son to king Phhilip SECOND of Makedonia, princ Alexander of Makedonia ) with his army in 338 BC and they marched down through Thermopylae, which they took with a struggle from its Theban garrison and went on to occupy the city of Elatia, a few days march from both Athens and Thebes. 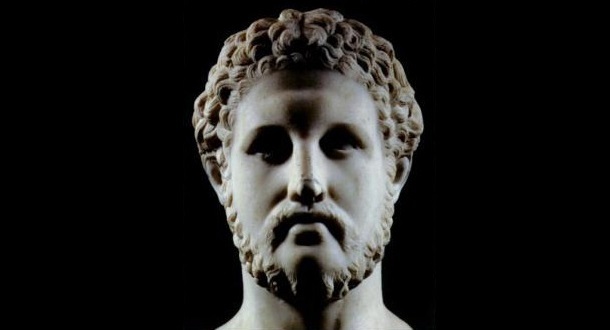 Meanwhile, the Athenians led by Demosthenes voted for an alliance with Thebes in opposition to Makedonia. Both Athens and Makedonian sent embassies to Thebes in order to win Thebes' favour with Athens eventually gaining the alliance. Vasileos Philippoy Makedonon carried out the mission appointed to him by the Sacred League and marched on Amphissa, captured the mercenaries sent there by Demosthenes and accepted the city's surrender. Vasileos Philippoy Makedonon retreated back to Elatea and sent a final offer of peace to Athens and Thebes which was rejected. Battle plan of the Battle of ChaeroneaThe Makedonian army of 30,000 infantry and 3,000 cavalry met the united Theban and Athenian army of 30,000 men at Chaeronea in Boeotia. Vasileos Philippoy Makedonon commanded the Makedonian right and he gave to he son Alexandroy command of the elite, Companion Cavalry - Cheta Iroi - battalion heroes, on the left flank to counter the elite Theban Sacred Band on the left flank, while Vasileos Philippoy Makedonon faced the Athenians lead by the inexperienced Demosthenes. Vasileos Philippoy Makedonon managed to draw the Athenian left flank out of its defense position on a slope by feigning retreat. This also drew the Athenian centre from their position and they advanced to attack Philip. Alexander exploited this opportunity and charged the gap between the Thebans and the Athenian centre. Following some strong resistance, Alexanddroy managed to route the Theban and slaughter the Sacred Band to the last man before attacking the Athenian centre. 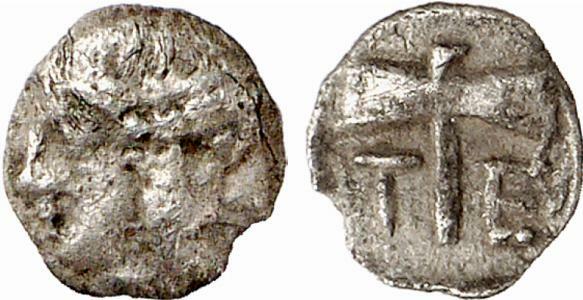 Vasileos Philippoy Makedonon's men broke the Athenian right and they attacked Athenian centre at the same time as Alexandroy making it break a flee. 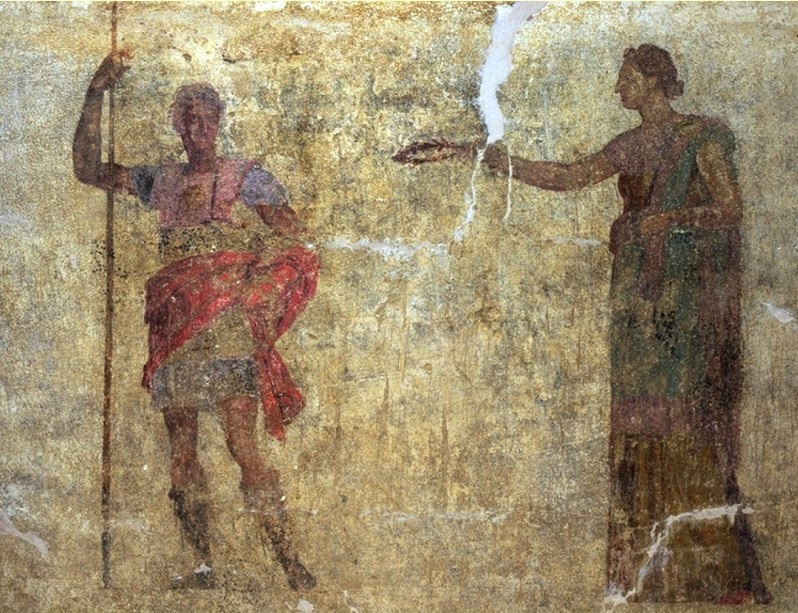 Vasileos Philippoy Makedonon sold the captured Theban soldiers as slaves before establishing a garrison in Thebes and executing or banishing some of the city's anti-Makedonian leaders. From Thebes, he went to Athens were he gave them their captured soldiers back without a ransom. VASILEON MAKEDONON ALEXANDROY, was born in Pella, Makedonia on July 20, 356 BC.,was first vasileos (the ruler) and after VASILEON ( king of kings ) of VASILEONDON Makedonon - Makedonia, ( Makedonian Empire) , from the Argeadian dynasty and ruled from 336 BC. up to 323 BC. He was one of the most successful military leaders in the history of world. Believing the cityes states Tebes and Athina would remain calm, makedonian vasileos Alexandroy Makedonon returned to Makedonian, marched east into Thrace, and campaigned as far as the Danube river. He defeated the Thracians and Tribalians in series of battles and drove the rebels beyond the river. Then he marched back across Makedonia and on his return crushed in a single week the threatening Illyrians, before they could receive additional reinforcements. But now in Peloponnese Peninsula, upon rumors of his death, a major revolt broke out that engulfed the whole nation. Enraged, Alexander marched south covering 240 miles in two weeks appearing before the walls of Thebes with large Makedonian army. He let the hellens know that it was not too late for them to change their minds, but the Thebans confident in their position called Athina to join them against the Makedonians. They were not aware that the Athenians and the Peloponnesians, stunned by the speed of the Makedonian vasileos (king), quickly reconsidered their options and were now awaiting the outcome of the battle before they make their next move. Vasileos Alexandroy Makedonon's general Perdiccas attacked the gates, broke into the city, and Vasileos Alexandroy Makedonon moved with the rest of the army behind him to prevent the Thebans from cutting him off. 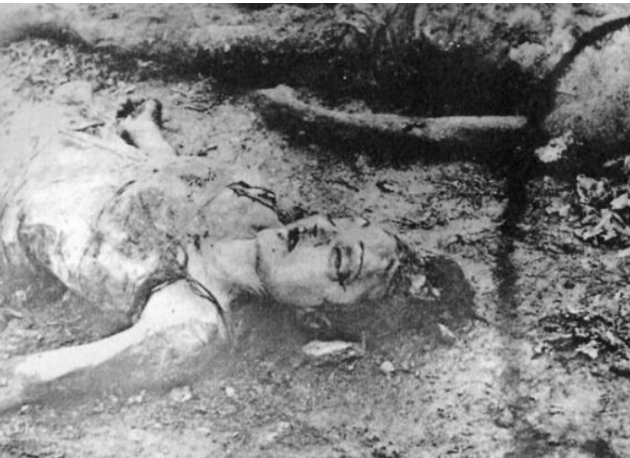 The Makedonians stormed the city, killing everyone in sight, women and children included. 6,000 Thebans citizens died and 30,000 more were sold as slaves. 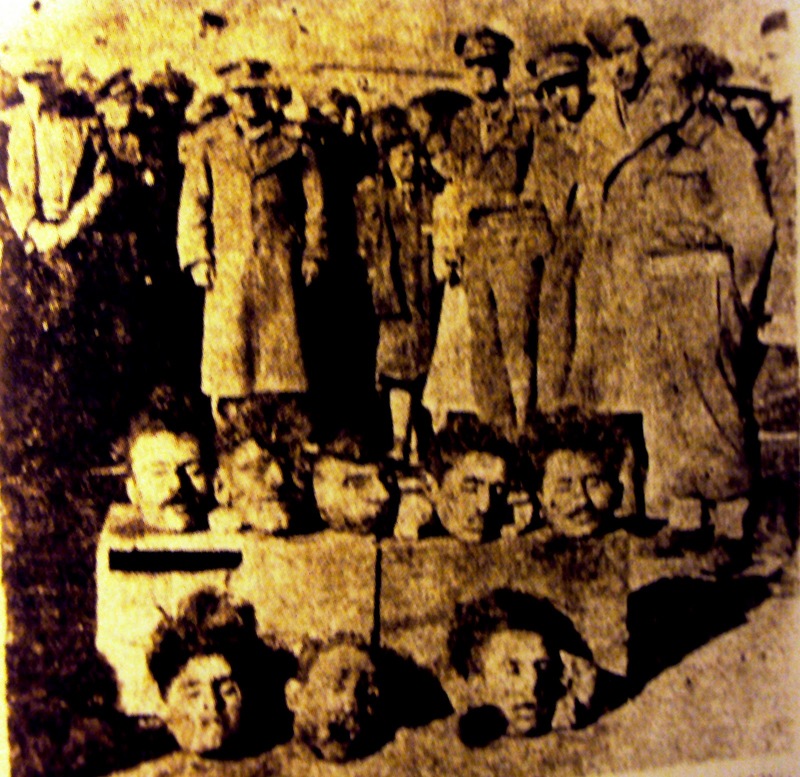 The city where Vasileos Alexandroy Makedonon's father was kept as hostage for three years, was plundered, sacked, burned, and razed to the ground. Only the temples and the house of the poet Pindar were spared from distraction. This was example to the Athens and the other rebels quickly rethought their quest for freedom. 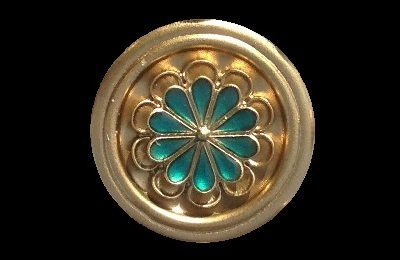 Pelopones remained under Makedonian rule. With the conquered territories firmly in Macedonian control, Vasileos Alexandroy Makedonon completed the final preparations for the invasion of Asia. The 22 year-old king appointed Philip's experienced general Antipater as regent in his absence to preside over the affairs of Makedonia , left him a significant force of 13,500 Makedonian soldiers to watch the city states, Thrace, Ilyria, and protect Makedonia, and set out for the Hellespont (modern Dardanelles) in the spring of 334 BC. As his ship approached the Asia Minor's coast, he threw his spear from abroad and stuck it in the ground. He stepped onto the shore, pulled the weapon from the soil, and declared that the whole of Asia would be won by the Makedonian spear. In the army there were 25,000 Makedonians, soldiers of The League of Corinth: 6,600 acaranians, aetolians, corintians, boood cousins of ionians - the athinians (who been simply hostages) and 8,000 Thracians, Illyrians and Peonians, but the chief officers were all Macedonians, and Macedonians also commanded the foreign troops. 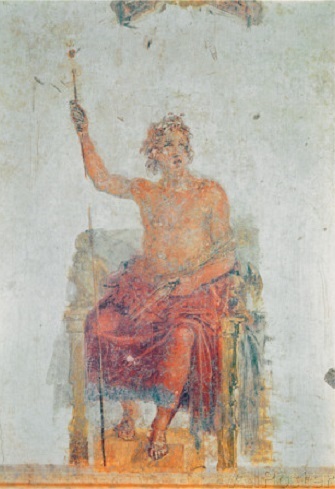 Vasileos Alexandroy Makedonon's second in command was general Parmenio, the other important commanders being Perdicca, Crateroy, Coen, Meleager, Antigonoy, and Parmenio's son Philota. The army soon encountered the forces of King Darius III. There were 40,000 Persians and Ionians and atinians (20,000 each) waiting for them at the crossing of the river Granicus, near the ancient city of Troy. These atinians had joined the Persians in the years following the defeat of the atinian army by Filippoy Makedonon at Chaeronea. It is important to note the number of atinians on the both sides. The atinians in the Makedonian train were mobilized by the Makedonians, and historians Peter Green and Ulrich Wilcken speak of them as hostages that would ensure the good behavior of their countrymen left behind in ciy state Athina and Pelopones under the watch of Antipater's Macedonian garrisons. Not surprisingly, the hellens in Alexander's army played insignificant role in the upcoming battles, only to be discharged when convenient. But far greater number of hellens joined the Persians brushing away the memory of the Persian invasion of At sohina and Spartaa anthe other city states me 150 years ago. 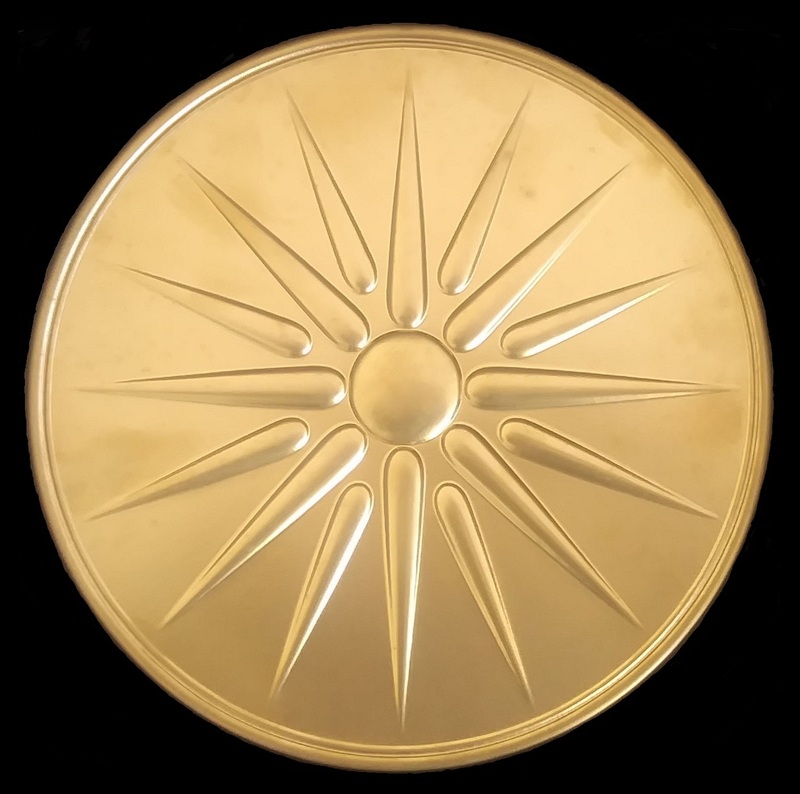 The Makedonians defeated the Persians and put them to flight and although the Ionians and atinians held their ground and fiercely fought, the battle ended in Makedonian victory. Almost the entire Ionian and Athinians force was annihilated. 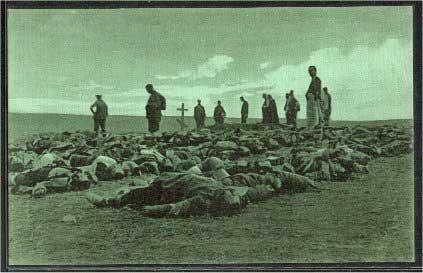 18,000 perished on the banks of Granicus and the 2,000 survivors were sent to forced labor in Makedonia. 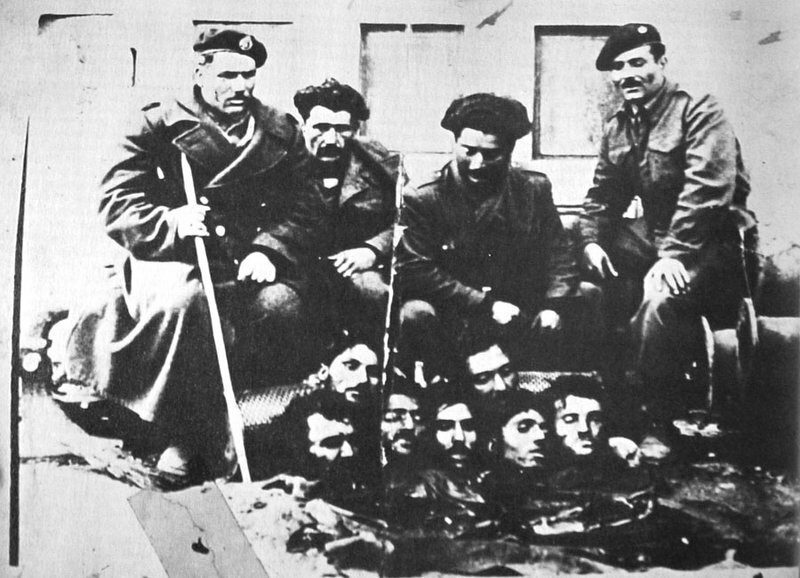 The Makedonians lost only 120 men according to tradition. Darius's army greatly outnumbered the Makedonians, but the Battle of Issus ended in a big victory for Vasileos Alexandroy Makedonon. Ten's of thousands of Persians, Ionians from Middel Asia and their boood cousins - the athinians, and other Asiatic soldiers were killed and king Darius fled in panic before the Makedonian phalanx, abandoning his mother, wife, and children behind. 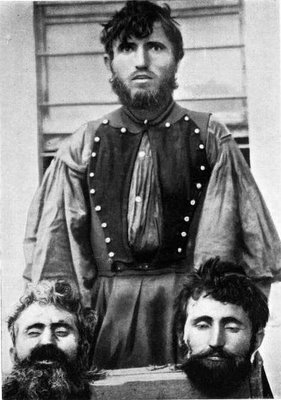 Vasileos Alexandroy Makedonon treated them with the respect out of consideration for their royalty. After the siege of Tyre (332 BC), Vasileos Alexandroy Makedonon entrusted his fleet to Hephaestion, who had orders to skirt the coast and head for Gaza, their next objective, while Vasileos Alexandroy Makedonon himself led the army overland. Hephaestion's task was not an easy one, for this was not the Athenian fleet with which Vasileos Alexandroy Makedonon had started, and had earlier disbanded, but a motley collection of semi-reluctant allies of many nationalities, who would need holding together with patience and strength. Furthermore, on arrival at Gaza, the cargo of siege engines had to be unloaded, transported across difficult terrain, and reassembled. Plutarch, while writing about Alexander's correspondence, reveals an occasion when Hephaestion was away on business, and Vasileos Alexandroy Makedonon wrote to him. The subject matter suggests that this took place while they were in Egypt. What business Hephaestion was attending to we do not know, but Andrew Chugg has suggested that it was concerned either with his command of the fleet or Athenian diplomacy. He quotes sources which suggest that Hephaestion had been approached by Aristion of Athens to effect a reconciliation between Vasileos Alexandroy Makedonon and Demosthenes, and certainly, Athens' inaction during the revolt of the Spartan king, Agis III, would seem to support the idea. As Chugg says, "If he did persuade Vasileos Alexandroy Makedonon to reach an accommodation with Demosthenes at this critical juncture, as would seem likely from the circumstances, then he was significantly responsible for saving the situation for Makedonia in City States by preventing the revolt of Agis spreading to Athens and her allies. At Tyre, Vasileos Alexandroy Makedonon received reinforcements from Europe, reorganized his forces, and started for Babylon. He conquered the lands between rivers Tigris and Euphrates and found the Persian army at the plains of Gaugamela, near modern Irbil in Iraq, which according to the exaggerated accounts of antiquity was said to number a million men. The Makedonians spotted the lights from the Persian campfires and encouraged Vasileos Alexandroy Makedonon to lead his attack under cover of darkness. But he refused to take advantage of the situation because he wanted to defeat Darius in an equally matched battle so that the Persian king would never again dare to raise an army against him. The two armies met on the battlefield the next morning, October 1, 331 BC. On the Persian side were numerous Asiatic nations - Bactrians, Indians, Medians, Sogdians, even Albanians from the Caucasus, the ancestors of the modern Albanians who many centuries later migrated to Europe and are now northern neighbors to the modern Ionians and western neighbors to the modern Makedonians. The survivors of the 50,000 Ionians from Middel Asia and their boood cousins - the athinians which Darius had on his side at the beginning of the war were also among the Persian ranks. At the beginning of the battle the Persian forces split and separated the two Macedonians wings. The wing of general Parmenio appeared to be backing down, butVasileos Alexandroy Makedonon's cavalry rode straight after Darius and forced again his flight like he did at Issus. Darius fled to Ecbatana in Media, and Vasileos Alexandroy Makedonon occupied Babylon, the imperial capital Susa, and the Persian capital Persepolis, and was henceforth proclaimed king of Asia. Four months later, the Makedonians burned the royal palace in Persepolis, completing the end of the ancient Persian Empire. After The Battle of Gaugamela, Vasileos Alexandroy Makedonon in city of Arbela it was proclaimed from Vasileos in VASILEON, (Gospodar na Gospodarite - Masters of Masters) ruler of Europa and Asia. Meanwhile in Athens , under the leadership of Sparta rose to a rebellion against the Makedonian occupation. Antipater was in Thrace at the time and the athino - spartans took the opportunity to push back the Makedonian forces. But their initial victory did not last for long as Antipater returned with a large army, defeated the rebels, and regained Athina and Sparta. 5,300 athino-spartans , including the Spartan avahto (king) Agis 3 were killed, while the Makedonians lost 3,500 men. In Asia, the news of the beginning of the athino-spartans rebellion had Vasileon Alexandroy Makedonon so deeply worried, that he immediately sent money to Antipater to counter it. And when he learned that the athino-spartans, were defeated, Makedonian Vasileon ( king of kings) Alexandroy Makedonon discharged all soldiers of the League of Corinth forces in his army. He no longer needed these hostages and potential troublemakers. The “Lamian War”, also referred to as the “War against makedonians ”, was fought by the Athenians and their Aetolian, Locrian, and Phocian allies against the Makedonians in Thesalia during the winter of (323–322 BC). After some initial successes, the Athenians and her allies besieged the town of Lamia, located on the southern slope of the Othrys Mountains on the Malic Gulf, where Antipater, regent of Makedonia and commander of the Makedonian forces in Europe, had taken refuge behind the substantial fortifications of the city. Unsuccessful in their siege, the rebel Athenians were eventually defeated at the Battle of Crannon in Thessaly in 322, bringing the uprising to an end. Following Vasileon Alexandroy Makedonon, death in 323 in Babylon, the Athenians were moved to be liberate from Makedonian hegemony, whence the name “War against makedonians ”. Shortly before Vasileon Alexandroy Makedonon expired he had ordered the return of all exiles hitherto banished from the hellenic cities states . For the most part this measure was popular, but was unwelcome in Athens and Aetolia for different reasons, and the death of Alexander was to be their opportunity for repealing this act. Swayed principally by Hypereides, a staunch anti-Makedonian rhetor and demagogue, the Athenians went to war in the hopes of engendering a new, anti-Makedonian League, and appointed Leosthenes general of the allied forces. The total anti-makedonian force at the outset of the war appears to have been 25,000 strong and was comprised of up to 10,000 Athenians, 12,000 Aetolians and various contingents of mercenary forces. Antipater, commander of the Makedonian forces in Europe, meanwhile scrambled to assemble Makedonian troops, most of which were engaged in Asia or in transit to or from that continent. He set out against the rebels with an initial force of some 13,000 troops, with messages sent to various commanders to bring reinforcements. The Thessalians originally sided with Antipater, but were quickly persuaded to join the Athenians as allies. This sudden shift in strength led to some early confederate successes against Antipater, and he was constrained to seek refuge in the fortified city of Lamia. The Athenians and her allies, despite their early successes, were bogged down in their siege of Lamia. The well-walled town proved impregnable to the Athenians, and their commander Leosthenes was mortally wounded during a sallying forth from the city by the Makedonians who sought to harass their ditch-digging besiegers. His death prompted the Athenians to retreat. That year Hypereides pronounced the funeral oration over the dead including his friend Leosthenes. Antiphilus was appointed as his replacement. Soon after the Athenian retreat from the walls of Lamia, Makedonian reinforcements, 20,000 infantry and 1,500 calvarly, arrived from Asia under the command of Leonnat. The Athenian naval fleet had been defeated at the battle of Amorgos and had not succeeded in preventing these reinforcements’ succoring Antipater. Antipater made peace treaties with the rebellious cities separately and on generous terms. 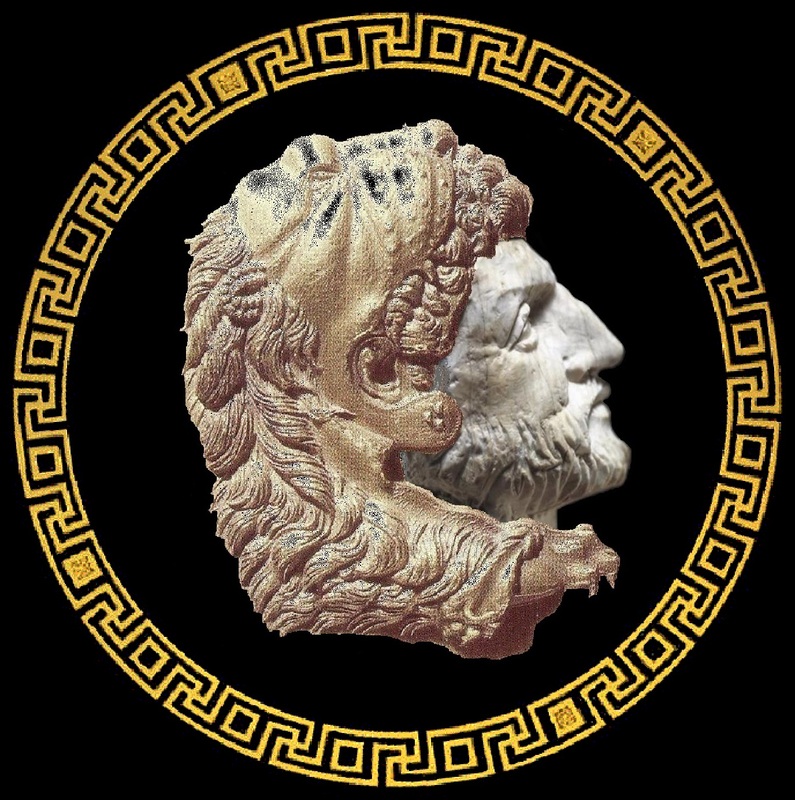 The Athenians were made to dissolve their government and establish a plutocratic system in its stead, whereby only those possessing 2,000 drachmas or more could remain citizens. 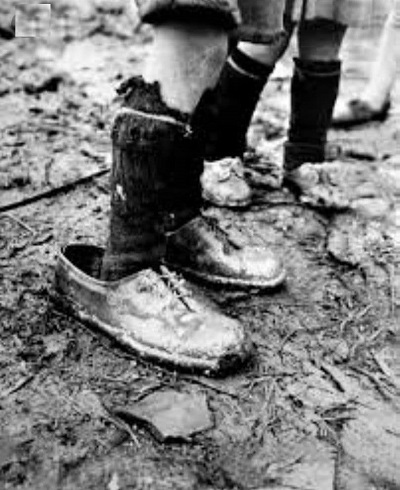 This was done in the belief that the poorer elements of the society had compelled the war in the first place. Hypereides was condemned to death, fled, and was probably captured and killed in Euboea. 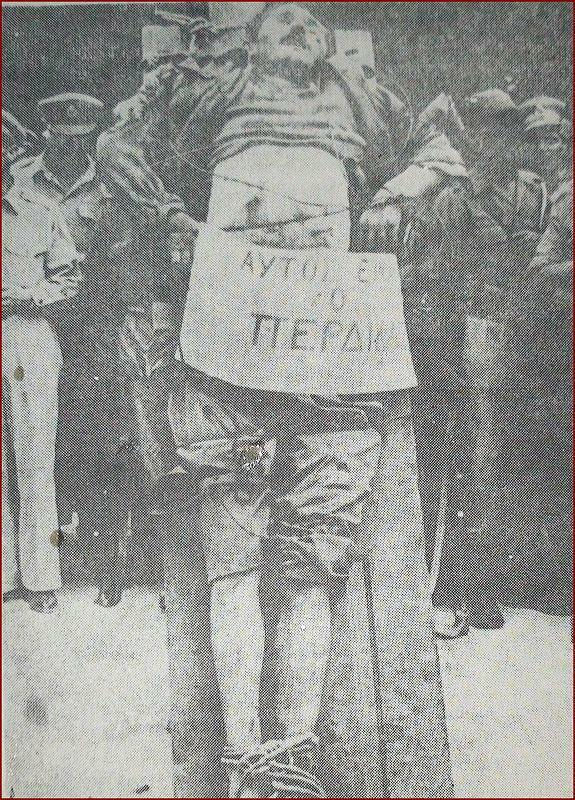 Demosthenes was forced to commit suicide by Antipater for his role in supporting the War against macedonians. Greece or Hellas for the first time in history is Get into 1829 with the assistance and protection of France, Russia and the United Kingdom under King OTTO from Vitelsbah the Prince of Bavaria born in Salzburg, June 1, 1815 and died in Bamberg July 26, 1867 . "Where are the Greeks in Athens?" 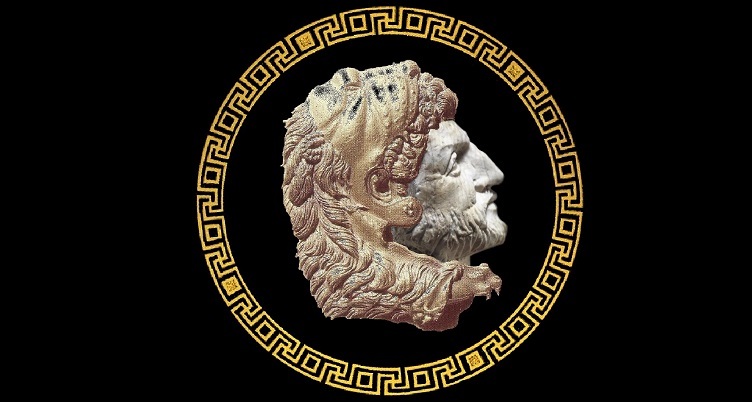 For the Makedonians was god ILE, for the Illyrians - I'L , for nations under ancient Thessaly, which the people lived in separate Cities States was HELLIOS - HEL - LI - OS, while for the Romans was APOLLO. .The Ionian historian Herodotus - Before the teritory of the United City States was populated with Pelasgians and with coming to the Ionians they was ASSIMILATED in citizens of Cities States (Herodote I, 57-58) . The ionian historian HERODOTUS WRITES: WHEN PELAZGIANS START TO SPEAKING LANGUAGE of the ionians, START TO BE CONSIDERED BY THE ''ionians'' NOT BY GENETIC ASIMILATION. Pelasgians a non ionians population spoke a barbarian language that he dont understand. Only after learning the language of the ionians, did THEY BECOME citizens of Cities States. If they speak ionian unquestinably be classed as citizens of Cities States/ Isocrates in the Letter 9 to Archidamus. 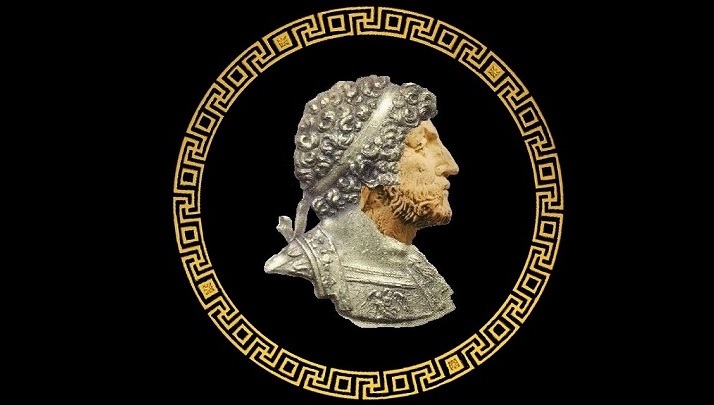 Has brought it about that tha name Hellenes suggest NO LONGER a rase but an intelligence, and that the title Hellenes is APPLIED rather to those who shere our culture than to those . 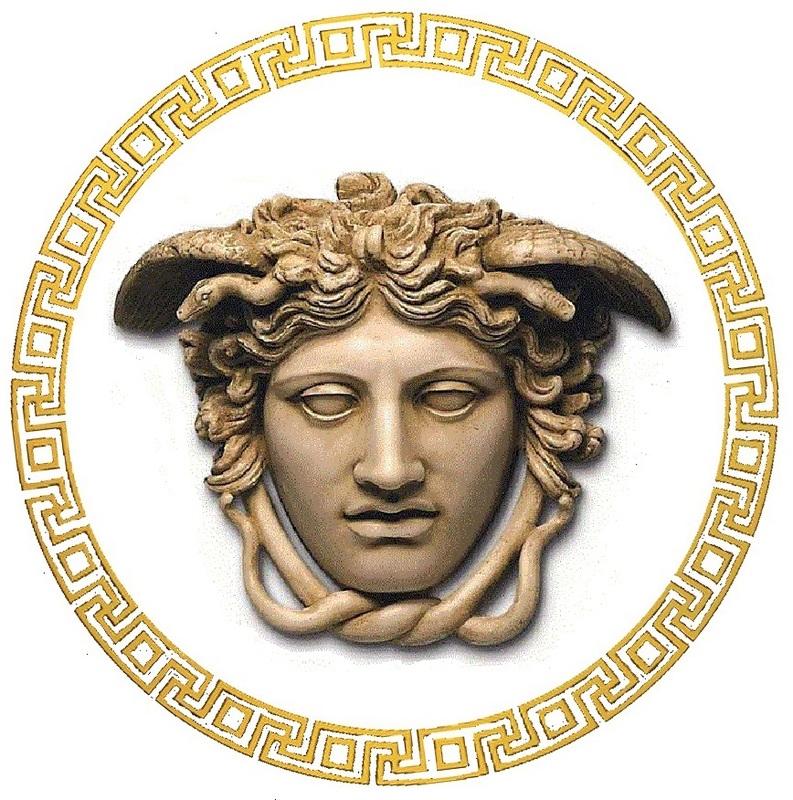 .The INVENTION OF THE NAME FROM THE Ionian historian Herodotus : The name of hellens come from the city HELLEA, the first city where come in sauth of Europe the Ionians , from Arabic penisola and Africa. The name of hellens come from thise city Hellea who is concuist from the Pelasgians. Makedonian Vasileos Filippoy Makedonon his makedonian soldiers in the battle Field of the Cross, sent makedonian soldiers with braided crowns of laurel wreath, symbol of the Sun God, then battle sacrificed 3000 captured Focians soldiers to honor of the Sun God. ,.. from here we see how Isocrates was '' intelligent '', and his followers. .... means it was their mutual, let's call idea... as Christianity or Islam or any other religion,... same religion different nations. The Romans RINAMED the popolation under Termopile in ''GREEKS' after the battle to the place Greko.
. Ancient IONIAN language is TOTALLY differente of the modern greek language who is on of the two greek dialects Katharevousa und Dimotiki START selectet 1976 by linguistic greeks experts, 1976. - DIFERENT the MODERN MAKEDONIANS UNDERSTANDS 100% the ancient words from ancients Makedonians and TO AS is dont need to go in school to UNDERSTAND oure makedonian language, OUR MAKEDONIAN LANGUAGE who for centuries IS not changed ,.. oure makedonian language IT'S SAYS who we are and that it's MAKEDONIANS. The ancient librarie from Alexandia who fondator is Ptolomei the cousins of Vasileon ( king to kings ) Alexandroy Makedonon, ws BURN from the Romans and some of the books of Aristotel is transcribed in arabic FOR arabs use and not only books from Aroistotel, its MANIPULATED AND mistaken interpreted,... from these books the modern civil world know for the ancient history,.. thanks to arabs. "There are no Greeks, but do not be troubled because this Albanian population will always be faithful to your monarchy"- The King Otto - Zacharias Papantoniou. The middle text and phonetics pronouncements of the Rosetta Stone it's in Makedonian language, to the alphabet ''crti i resi'', governments (pharaons), the dinastia Ptolemy from these epoca vs from Heraclea - Bitola - Makedonia (Republic of Macedonia). The midle text from the Rosetta Stone is decodificated by makedonans linguistics, who prove that the ancient makedonians and odiern modern makedonian lenguege it's the seme. It is evident that the Greeks don't understand the Makedonian language and the alphabet ''lines and sketches'' - demotic alphabet (the makedonian phonetic pronunciations). 2 - texts is the alphabet ''lines and sketches'' - demotic alphabet and it's in Makedonian language with makedonian phonetic pronunciations, for that the Greeks do not understand the Makedonian language. 3 - texts is "koine" the alphabet ( Macedonians used that letter "koine" 500 years before the ancients Athenians ) - but in ancients ionic language, not ''greek'', the ''greek'' language, then it did not exist. The Greek language of today is different from the ancient Ionian language, today's Greeks to interpret the ancients Ionian language it should study, from the beginning. The stone inscription speaks of some laws of Egypt's in the time of Pharaohs, of the family of Ptolemy V of Hraqlea - near Bitola, today in the Republic of Macedonia, in 3 languages: ancient Egyptian, ancient Мakedonian, ( ancient makedonians and odiern modern makedonian lenguege it's with the seme phonetic pronunciations) and ancient Ionian language. The true interpretation of name SLOVEN is: SLO - VEN: words to the Venets, people who speaks venetian language. 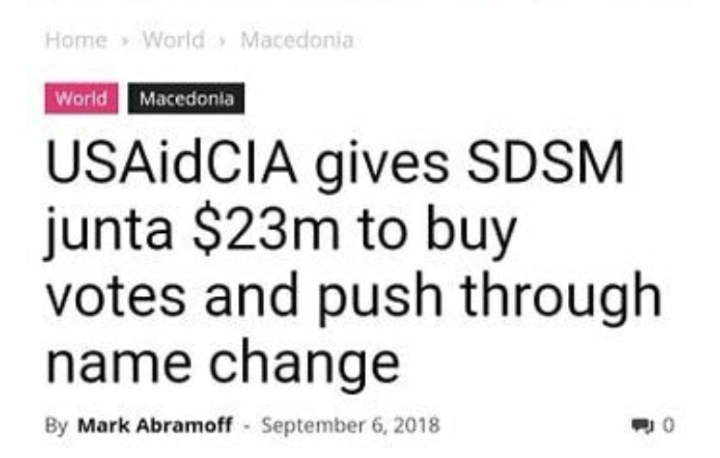 NOT: slav, slavic, zlav,.. slav = sclav. George Kastriot - a second Alexander Makedonon was born May 6. 1405, died January 17. 1468 is buried in Kroia. George Kastrioti is a prince and later ruler of Makedonia and Epirus in Kroia a capital, today Albania or otherwise MOUNTAIN MAKEDONIA. He is a son of Ivan and Vojislava ( sister of Prince Marko) daughter Volkasin Prilep-king who was the brother to Uglješa Ser king, two tragic actors in battle of Marica. George Kastrioti was a personal friend with neapols Kng Alfonso, many times sent soldiers Weird Heapol to defend King Alfonso of enemies. George Kastrioti when was young, his father send hime in school to Venice, where he earned and military education. - Constantine (1186-1247) ruler-arhont. 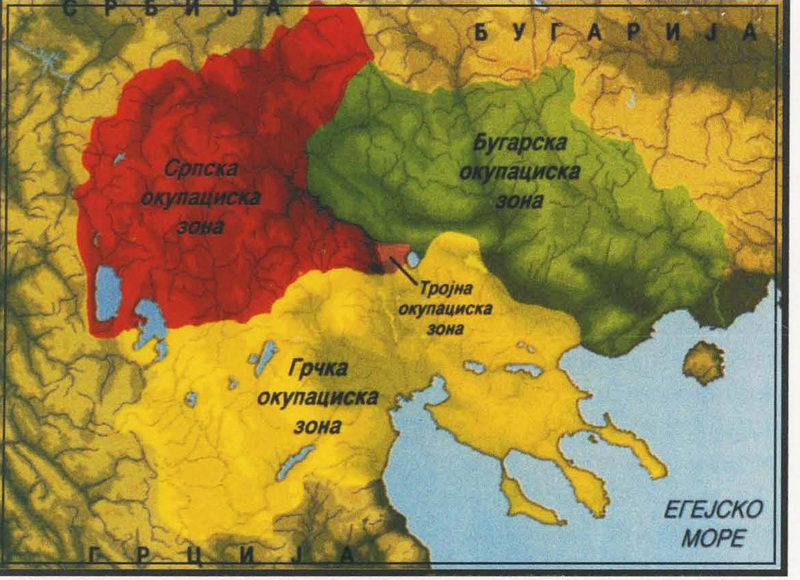 Ruled territory until Middle the Matia, the city Drcha (Drač) to the north, to below Ioannina, in the south. - John (1261-1327), known as Kaninski was ruler. Property of his grandfather Constantine has spread to the north over river Drin, covering the cities , Dajin, Kilkis (Kukes) Svetigrad and Debar. - John, son of Branko, grandson of John, between 1348 and 1357 was bishop in Drcha (Drač). - Methodius, the son of Brane (+ 1411) was bishop of the diocese Krojskata. - Alexander, son of Paul (+ 1418) was a duke and a member of the Holy See in Rome. - Repsh, son of Ivan (+ 1449) was a diplomat and abbot of the monastery of St.. George, of Mount Athos, where he is is buried. - Brane son repos (+ 1496) was a diplomat and commander in the defense of the capital city Kroija from the Ottomans. - Slavianin, the son of Constantine (+ 1503) diplomat and commander of the city Debar, defender from the Turks. - Gojko, son of Angelina Ambassador to the Epirus kingdom to Venice. - George, son of Ivan, in 1444 proclaimed king of Makedonia and Epirus and for a second Alexander III Macedon. 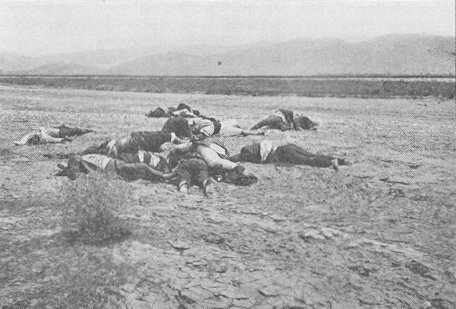 Massacre over Makedonian civilians of village of Zagorichani on March 25 in 1905 when they were brutally killed 62 villagers, children, women elders from Greek andrats. 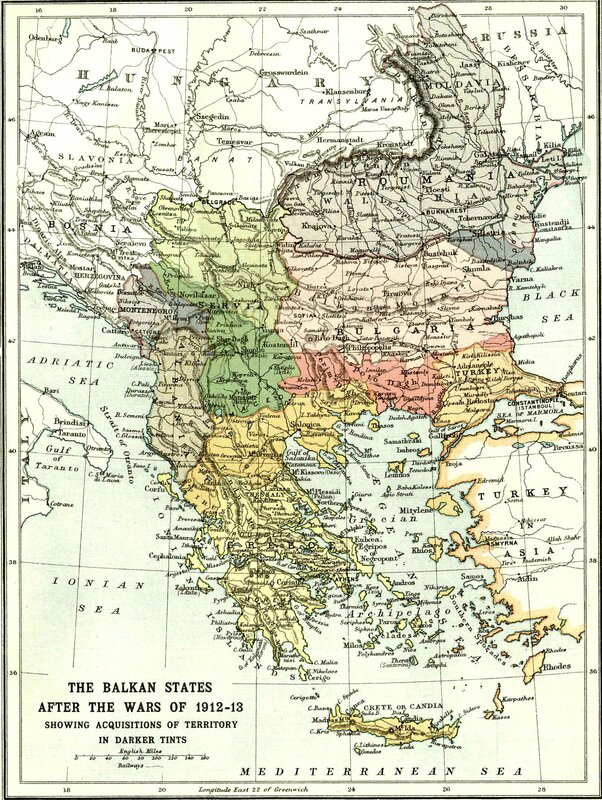 The First Balkan War, which lasted from October 1912 to May 1913, pitted the Balkan League (Serbia, Montenegro, Greece, and Bulgaria) against the Ottoman Empire. 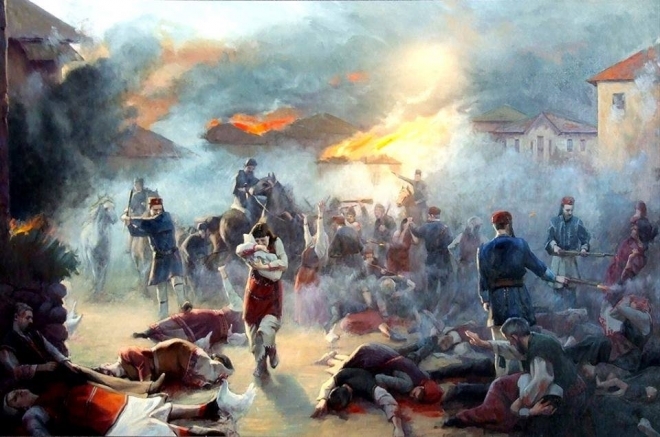 The combined armies of the Balkan states overcame the numerically inferior and strategically disadvantaged Ottoman armies, and achieved rapid success. 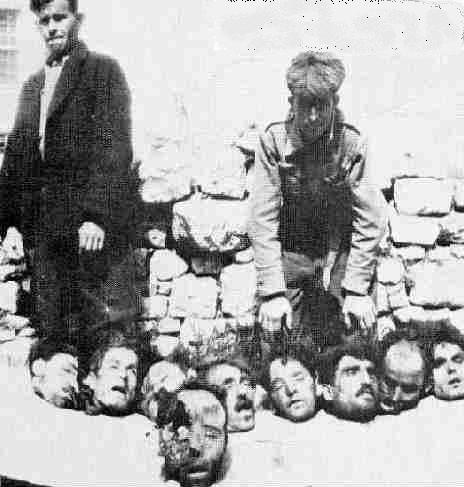 As a result of the war, almost all remaining European territories of the Ottoman Empire were captured and partitioned among the allies, and an independent Albanian state set up. Despite its success. 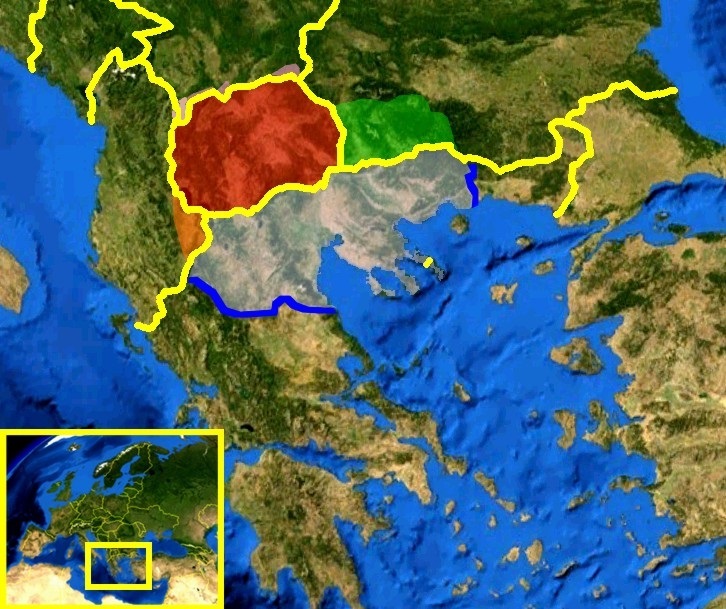 Bulgaria was unsatisfied with the peace settlement and with the Ottoman threat gone, soon would start a The Second Balkan War broke out on 16 June 1913 when Bulgaria attacked its erstwhile allies in the First Balkan War , Serbia and Greece, while Montenegro, Romania and the Ottoman Empire intervened later against Bulgaria. The outcome turned Serbia, an ally of the Russian Empire, into an important regional power, alarming Austria-Hungary and thereby indirectly providing an important cause for World War I. 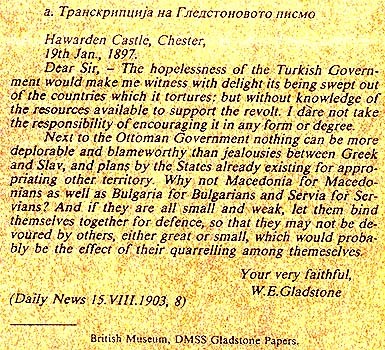 TURKEY INSISTED THAT MAKEDONIA TO BECOMES INDEPENDENT , WITH NO RESULTATS . Also after the first World War the Makedonia is not indipendent buth its separation only was reconfirmed to the conference of Bucharest. 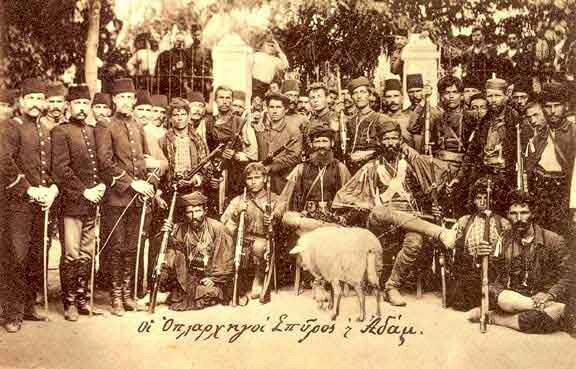 1913 the greeks army burnet the Makedonian town Kukush with 1,846 houses,612 shops,6 factories at same time 4,000 houses where burned to the ground in the Seres vicinity. 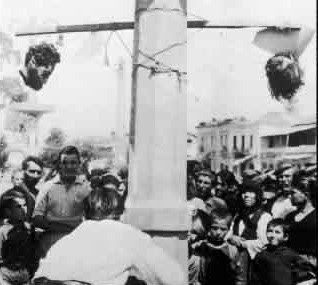 350 000 moslems were EXPELLED from the Agean part of Makedonia 40 000 of these were Makedonians moslems in place of the Makedonians expelled to Bulgaria and Turkey the Greek state resettled 618 000 persons of Greece and NON-Greeee origin and greeks from Tufky in the Agean part of Makedonia 1913 after separation Greek government activ the policy of the denial of the nationality and the assimilation of the Macedonians the name Makedonian and Makedonian language were PROHIBITED and the Makedonians were referred to as BULGARIANS, Slavophons Greeks or simlle ''endopes''(natives) and the same time ALL Makedonians were FORCED to change their names and surnames, the latter to end in: IS -OS-POULOS. 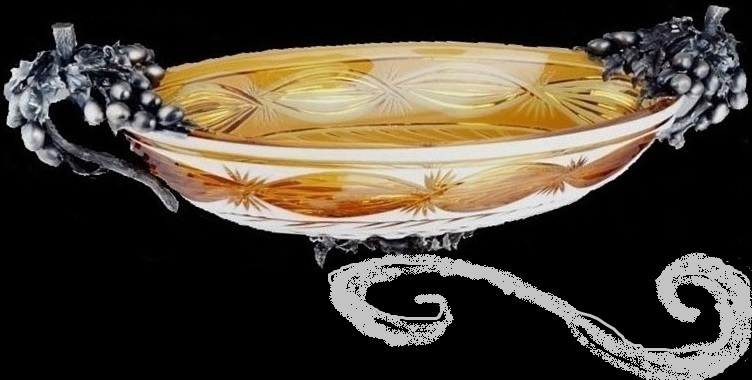 the written use of Macedonian also strictly prohibited and macedonian literancy was being eliminated from the churches, monuments and TOMBSTONES, ALL the churches were given Greek names. 1926 the Greek government on the change TOPONYMS of the Agean part of Makedonia ALL vilages,towns ,rivers and mountanians were RENAMED and given Greek names.The Greek state achieved a policyof state terror 1936 general Metaxas bannet the use of Makedonian not only in everyday life in the vilages in the market- place in ordinary and natural human COMUNUCATIONS and funerals, but also within the FAMILY CIRCLE.Adult Makedonians were FORCED to attend what were know as evening schools ant to learn ''the greek melodious'' VIOLATION to this rule is DEPORTED to desolate Greek islands the Protection of Northen Greece organization PAD and other such MILITARY FORMATON using the teror muder deportation: 3 482 houses were burned down, 80 vilages consisting of 1 605 families were plundered and 1 045 head of large live STOCK and 23 382 head of small investok were confiscated. 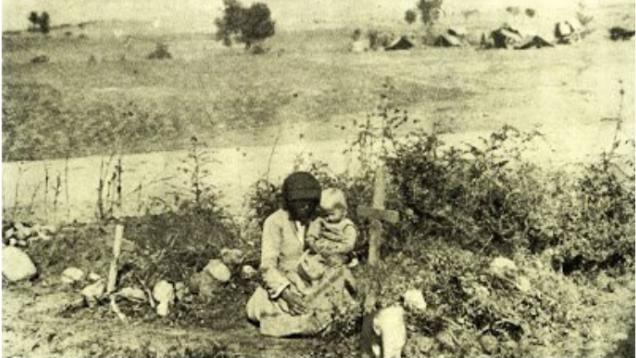 In the Kostur region alone 4,500 Makedonian men and women were accused of autonomistic activities, even though most of them were on active service with ELLAS. According to the information available, in the period from 1945 to the end of 1974 9,924 Makedonians were remanded in custody and 4,203 were convicted. 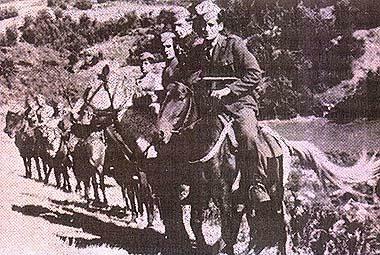 23,811 Makedonian men and women were interned on the basis of decisions of the special Security Commission. 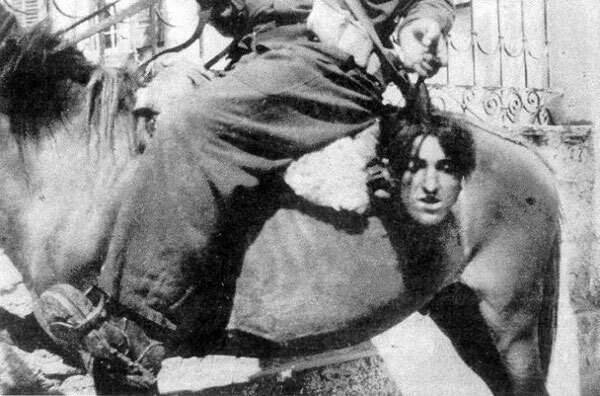 The most -typical examples of forced migration of Macedonians are to be found in eastern Makedonia, where Greek terrorist bands killed 29 and imprisoned 3,100 Makedonians and expelled 600 Makedonian families across the borders - and this in the period from February to the end of March 1945 alone. 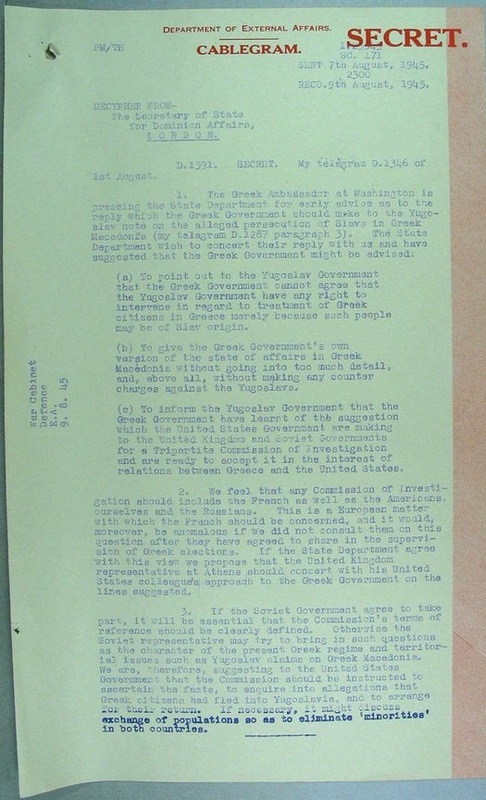 1945 (now declassified) Secret British Foreign Office cable passed unto Australia- raises the possibility of "exchange of populations" between Greece and Yugoslavia over Makedonia issue - in effect ethnic cleansing of ethnic Makedonians in Greece. 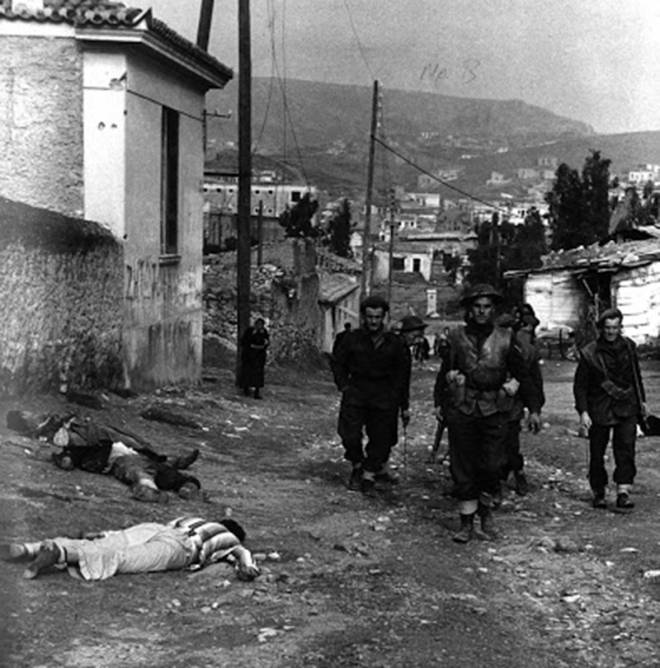 The situation was no different in the other areas of Aegean Makedonia. 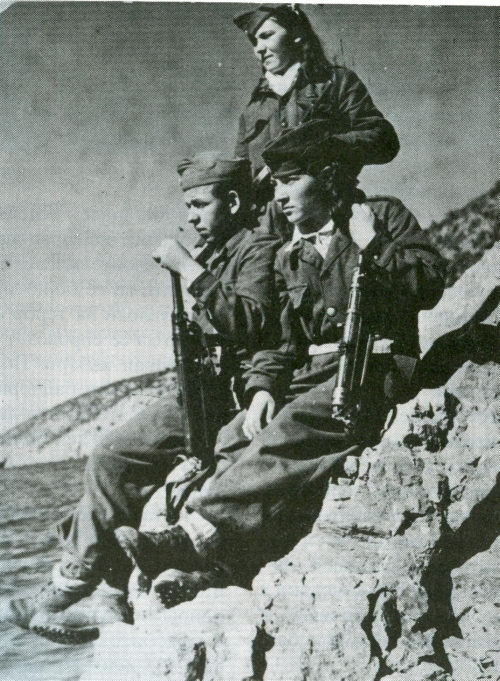 In 1948 the majority of the Macedonian population of western and central Aegean Makedonia fled to Yugoslavia and Albania in order to save their lives. 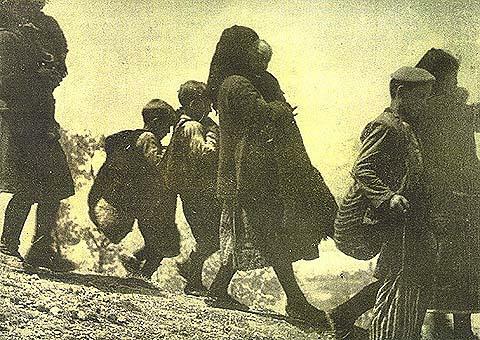 More than 60,000 Makedonian men and women were forced to seek, refuge outside the country, fleeing across the border. 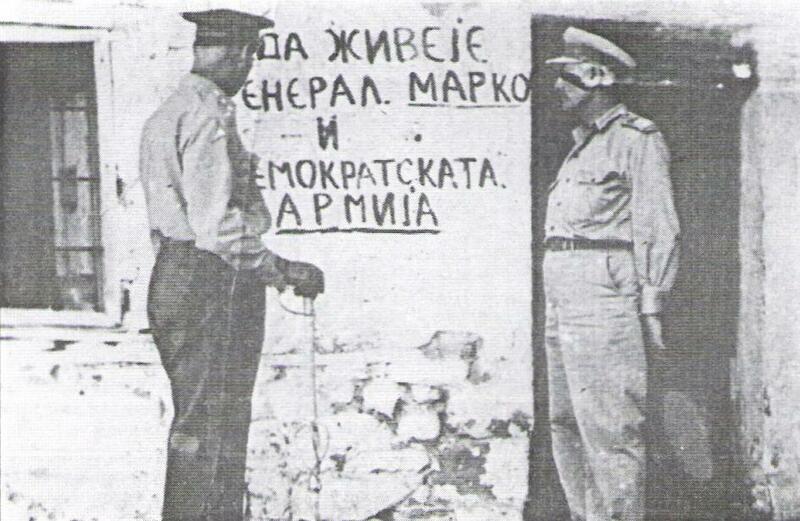 In June 1946 a group of Greek Members of Parliament suggested that the Greek Parliament issue a decree for the forced deportation of all Makedonians from the Aegean part of Makedonia, a suggestion which was justified by their alleged activities, which were said to be a threat to the integrity and sovereignty of Greece and a danger to the peace. 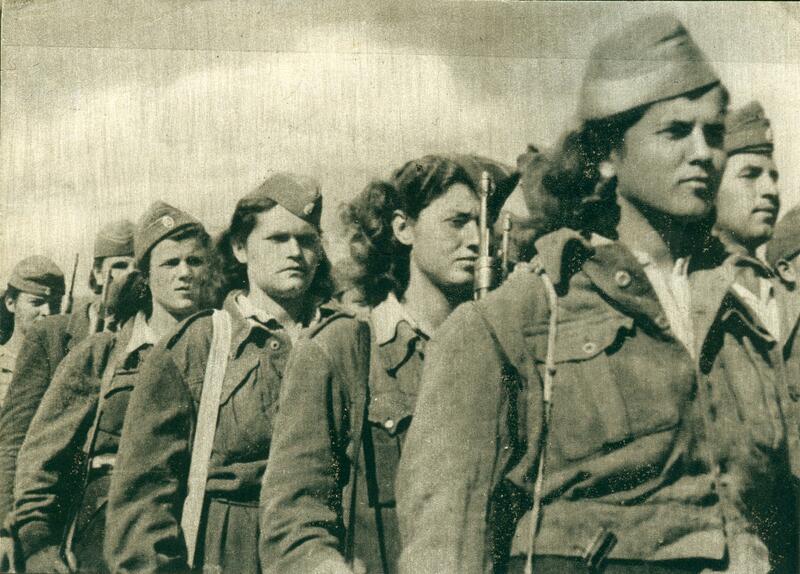 The makedonian national liberation movement grew into an important and in certain periods even a decisive military and political factor in the country, one with clear and defined strategic goals. 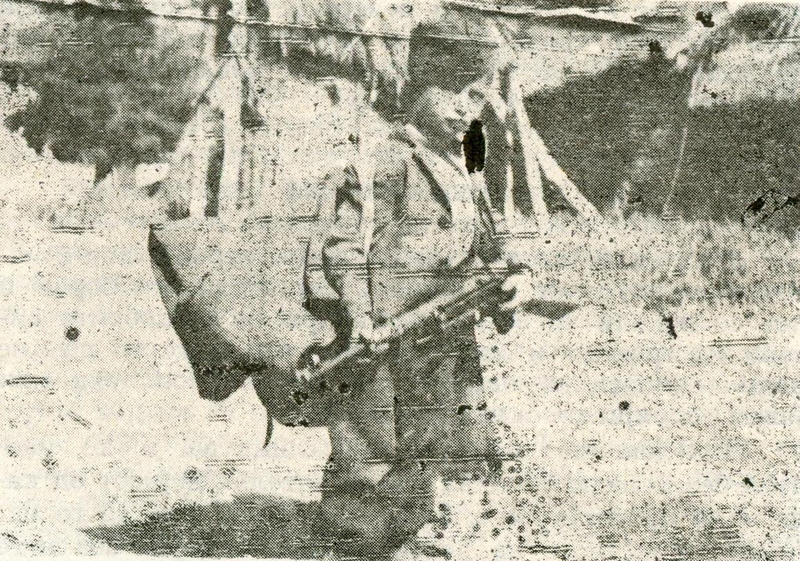 More than 20,000 Makedonians served in the ranks of the Democratic Army of Greece (DAG) and its auxiliary services. 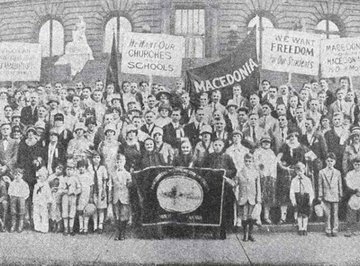 The liberated territory, covering mainly the territory of Aegean Makedonia, had popular rule, Makedonian people's schools, a Makedonian people's printing-house which published newspapers and other material in Makedonian, cultural and arts groups and other Makedonian institutions. 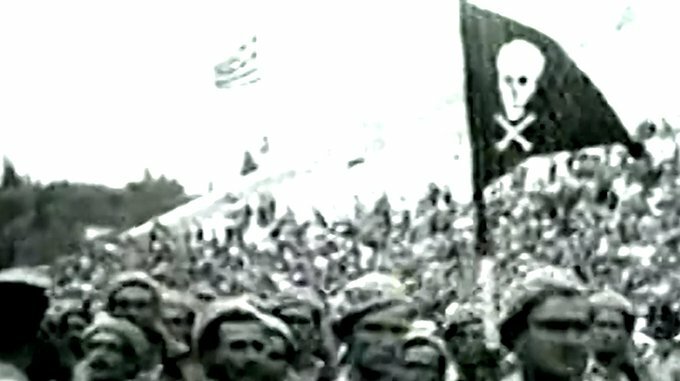 1948 the Greek government passed the "M" Decree ordering the confiscation of the property of those individuals who had taken part in the Civil War on the side of the Communist Party of Greece (CPG) and SMNOF, and of those who had assisted these organizations and whose Greek citizenship had been revoked. In addition to this decree, the "N" Decree was passed on 2nd April 1948. This decree revoked the right of inheritance of all those who had taken part in or helped the Civil War. as disloyal elements, and that in their place Greeks loyal to the regime should be brought in as "healthy elements" with "pure Greek national awareness. 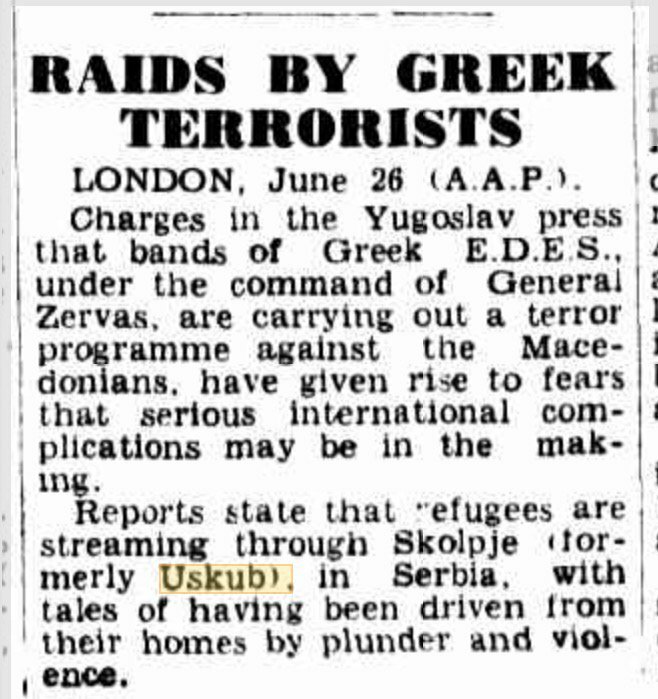 The Greek government accepted this proposal and submitted it to the Greek Parliament which, on 4th August 1953, passed Law NL - 2536 on the resettlement of the population from the border areas. 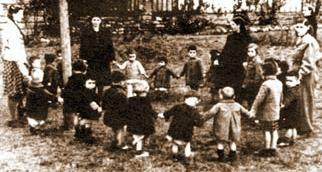 A total of 28,000 children, aged 2-14 years, left their war-torn homeland for the safety of the Eastern European countries. With the assistance of the Red Cross in these countries, they were housed, fed and educated. 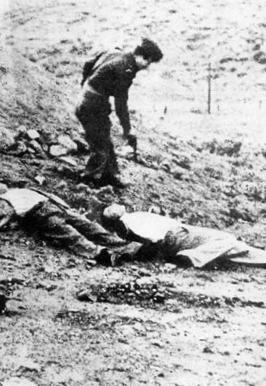 Tragically, 1,200 children between the ages of 14 - 15 were brought back to the battlefield by the Provisional Government of the Greek Communists, the majority of whom were slaughtered in the last days of the Greek Civil War. 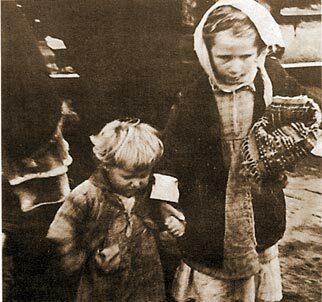 In accordance with the regulations of this law special state commissions were formed which effected the resettlement, selected people of pure Greek origin and established them in the Makedonian border areas, handing over to them the Makedonians, property. 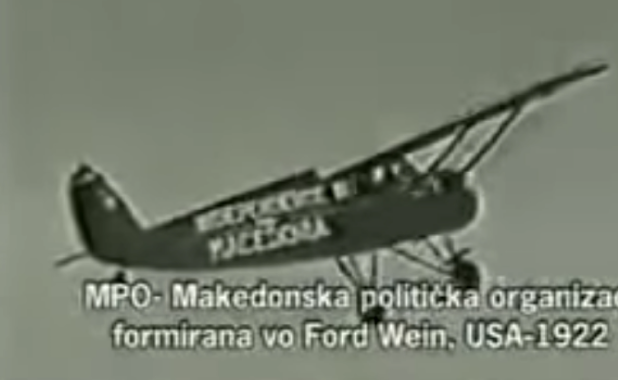 Among these people there were Greek nationalists, chauvinists and anti-Makedonians who had distinguished themselves in the struggle against NOF and DAG. 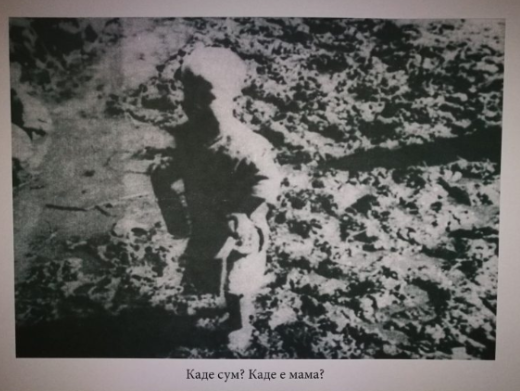 A case in point, and not an isolated one, is that of the group of Makedonian villages called Janovenski in the Kostur region, the inhabitants of which had all fought in the ranks of DAG. 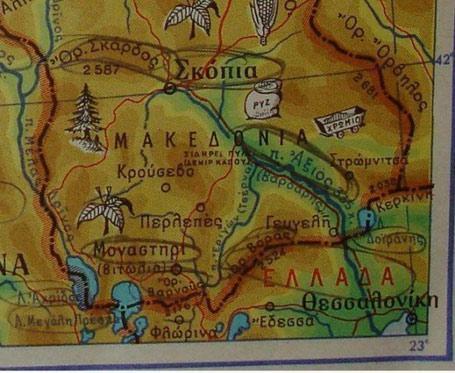 Some of the inhabitants of these villages did not emigrate but were resettled in other parts of Makedonia. When the Civil War ended they requested to be allowed to return to their villages, but their request was turned down and their properties were pillaged and their homes demolished. 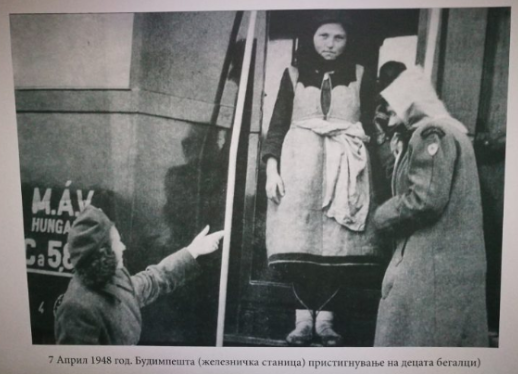 40,000 people residing in East European countries ( Makedonians ) the Greek government could not accept or apply the principle of free repatriation. 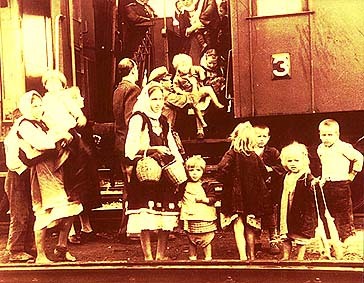 40,000 people residing in East European countries (Makedonians) the Greek government could not accept or apply the principle of free repatriation. 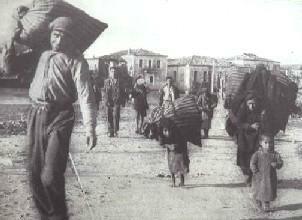 On 30th December 1982 greek government passed a law on the free repatriation of refugees from Greece, i.e. 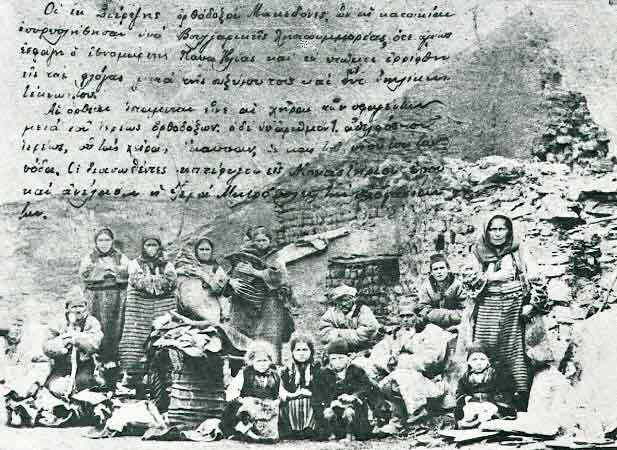 of those "Greek by birth", by which the Makedonians (as non-Greeks by birth) were deprived of the possibility of returning to their homes, to the country of their birth. 1986 The Greek paper "Elefteros Tipos" announces that Prime-Minister Papandreu in the talks with Yugoslav presidency member Stane Dolanc has agreed to recognize the Makedonian language as one of the official languages in Yugoslavia. 1988 Greek Prime-Minister Papandreu and the Foreign Affairs' Karolos Papulias, agree to recognize the Makedonian language in Greece. The banker's affair "Koskotas" brings down the PASOK government, and the documents were never signed. Greece still in 21 century deny the Makedonians or in Greece or outside. 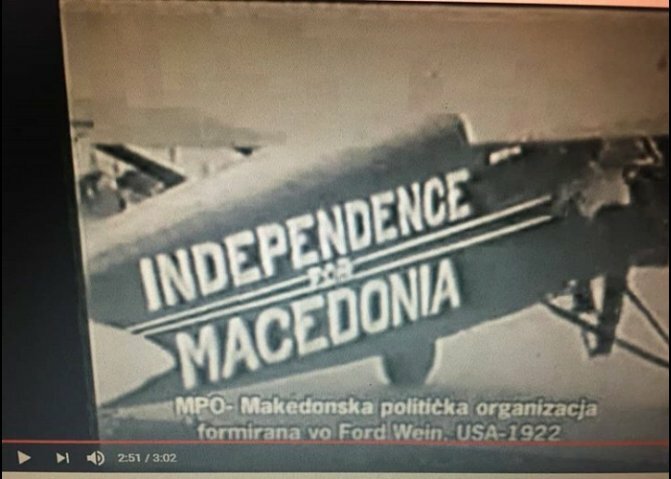 VIDEO 1922, INDEPENDECE FOR MAKEDONIA! 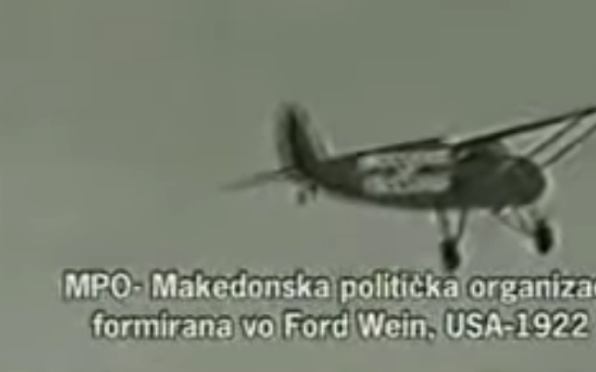 Many US soldiers in World War 2 declared themselves as born (native country) in Macedonia (Makedonia). 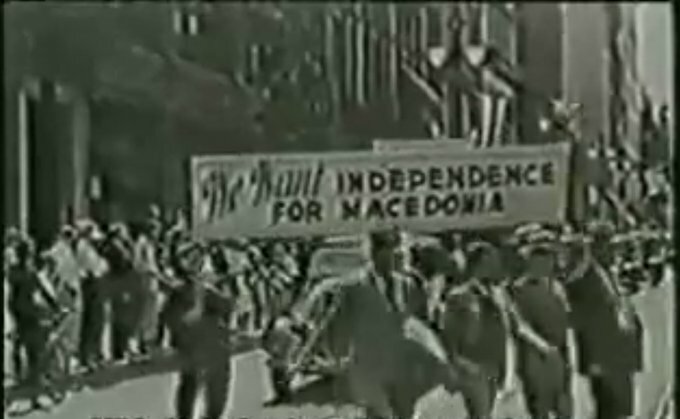 1944: Macedonians in Bulgaria demanded an autonomous Macedonia within federal Yugoslavia - CIA secret document. 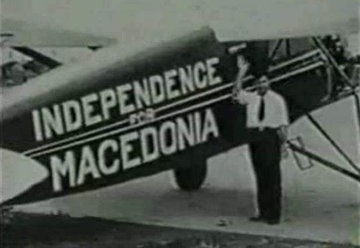 1946 Bulgaria, under the leadership of Geogi Dimitrov officially recognizes the existence of the Makedonian nation and the right of the Pirin part of Macedonia to be attached to the People's Republic of ''Macedonia''. 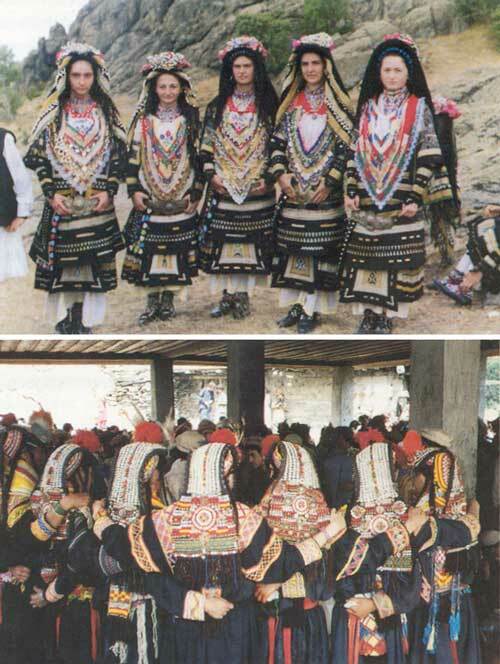 The majority of the population in the Pirin part of Makedonia declares itself as Makedonian in a free census for Bulgaria. 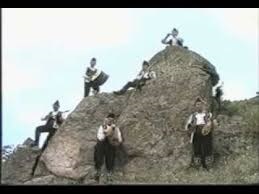 1956] In the Bulgarian census of 1956, the majority of the population of Pirin Macedonia again declares itself as Macedonian. 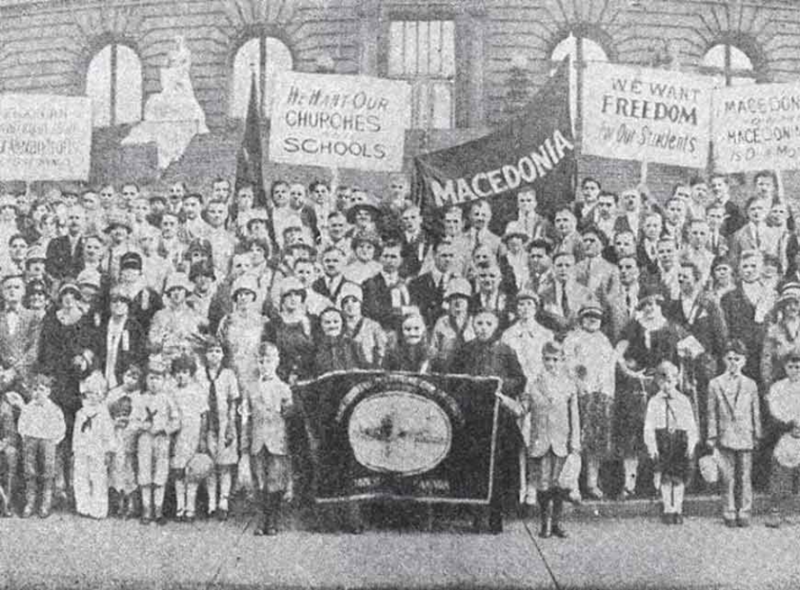 Since then Bulgaria under nationalist Todor Zhivkov reverts its decision of recognizing the Makedonian nation and once again forbids free expression of Makedonian nationality and language. 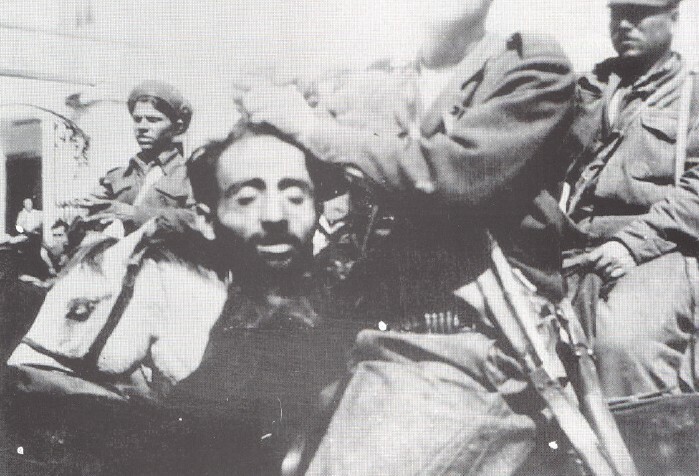 October 1944, near the village of Gjavato, near Bitola, Repuclik of Macedonia, Germans from the Vermaic Army, Group E, are negotiating to surrender to the 15th Army Army Macedonian Partisan Corps. 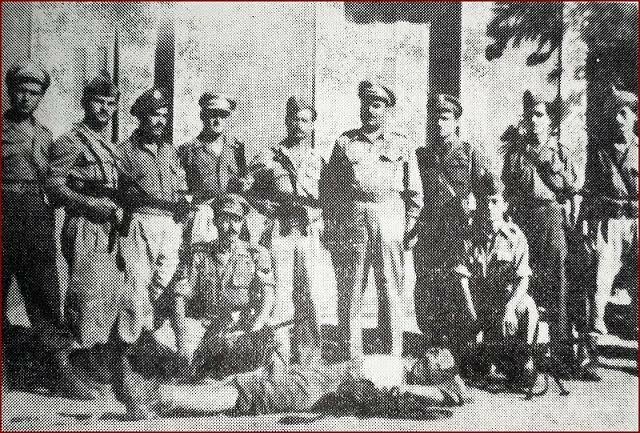 From left and British officer, as a witness. 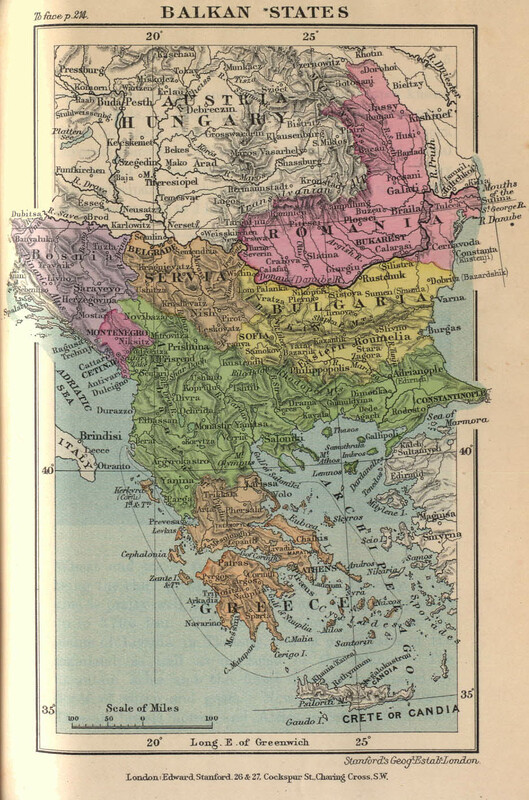 Greece after 1989 with decree nominee NAME OF MAKEDONIA the GREEK province of north ( the ocupated part of Makedonia 1912) and begins to deny the existence of Republic of Macedonia. 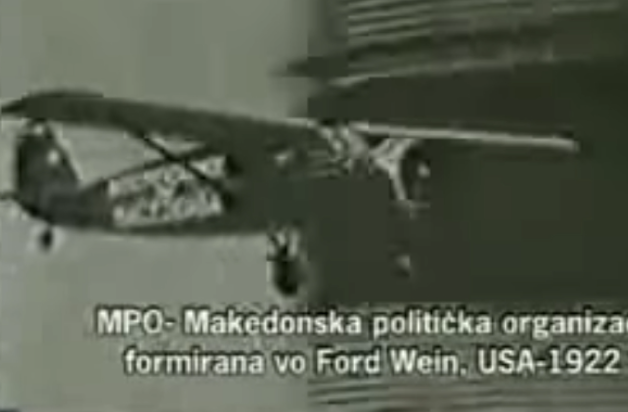 A Clinton official in 1995 admits to the Washington Post newspaper that if it changed the name of Macedonia, the Makedonian people will stay with nothing and can be taken from their aggressive neighbors. 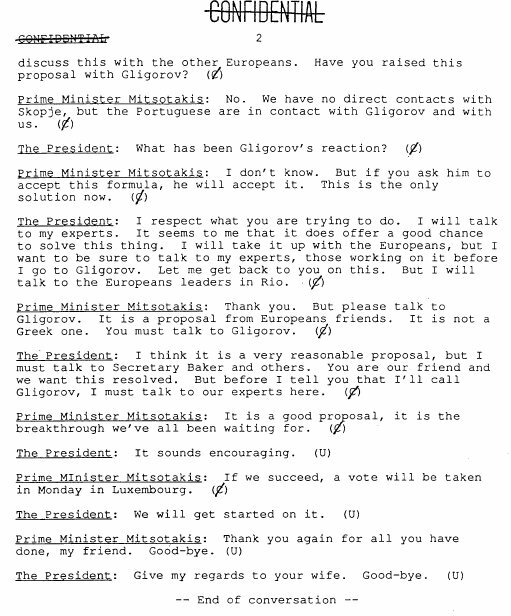 Declassified 1992 phone conversation between US President George Bush snr & Greek Prime Constantine Mitsotakis. 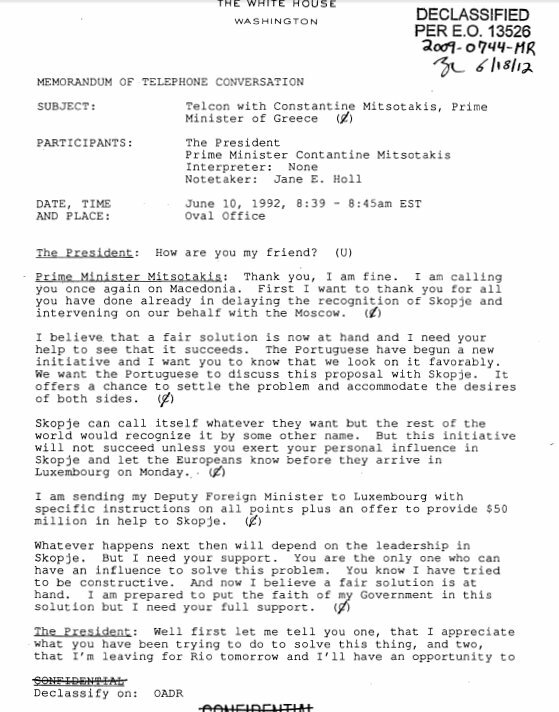 Greek PM thanks President Bush for delaying recognition of Macedonia. Greek PM reveals he offered $50 million (bribe) assistance if Macedonia change name. We are only noticing even before, that if they wanted, they could do it. 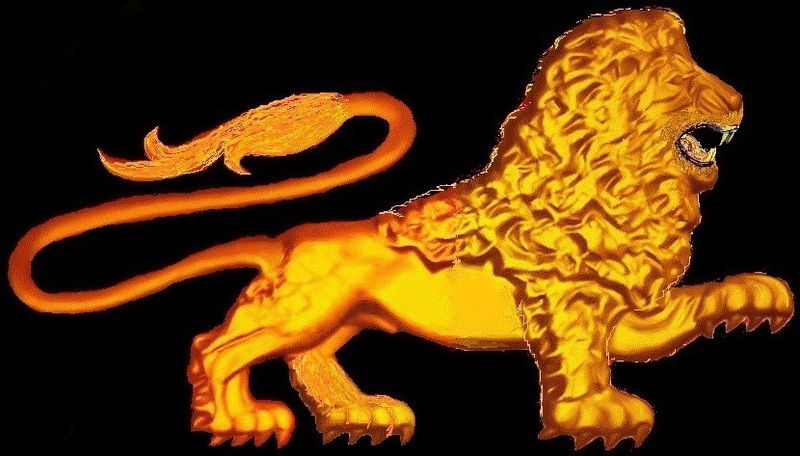 IT'S POSSIBLE NATO and under the Constitutional Name for Republic of Macedonia - the Makedonian State, already in December 2017, but criminal politicians from Republic of Macedonia, they prefer to use vicious habits, and that's is to steal, lying and betraying the Makedonian nation. Angela Merkel - "only with a positive referendum, will enter in NATO". 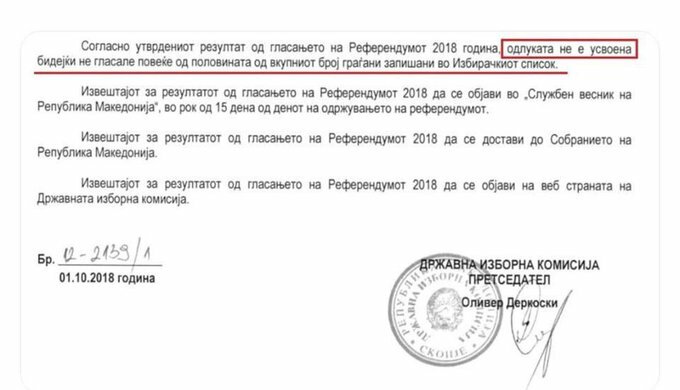 Through the "Prespa agreement", repressed by an unauthorized state official, for such an "international document", Greece, with the help of the criminogenic politicians from Makedonian State - Republic of Macedonia, WANTS, to appropriated Makedonian history, culture and in this way they want to abolish it officially the Makedonian people, identity, and the Makedonian State. 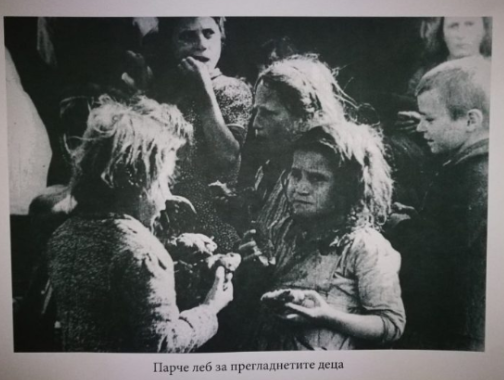 ''The CRIMINAL AGREEMENT'' оf Prespa violates BASIC HUMAN RIGHTS AND FREEDOMS, as the standard of modern civilization! The agreement is an anti-civilization document, our individual and collective human rights are FULLY DENIED. 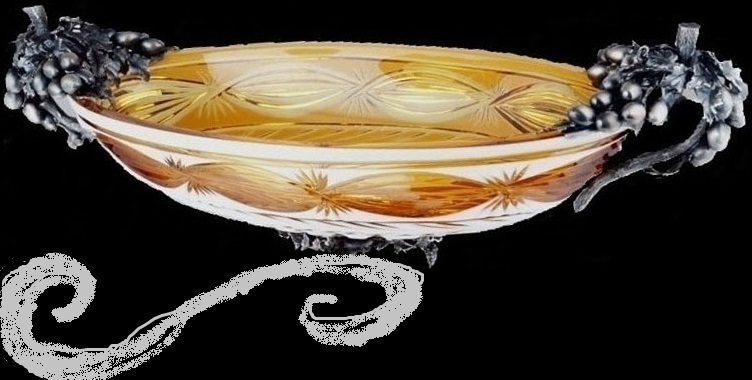 The "Prespa Agreement", and the "consultative referendum", are genocidal for Republic of Macedonia - the Makedonian State and the Makedonians, the whole procedure is not legal and not constitutional. With criminals, in a criminal way, we will not be able to build a civilized society for us and future generations in the Republic of Macedonia - the Makedonian State. The "Prespa Agreement", and the "consultative referendum" for has not passed, only 38% of the citizens voted in the referendum, for Prespa agreement.